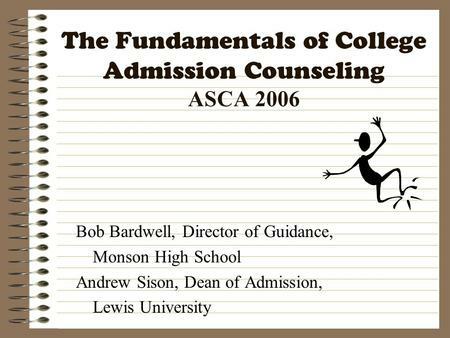 The Fundamentals of College Admission Counseling ASCA 2006 Bob Bardwell, Director of Guidance, Monson High School Andrew Sison, Dean of Admission, Lewis. 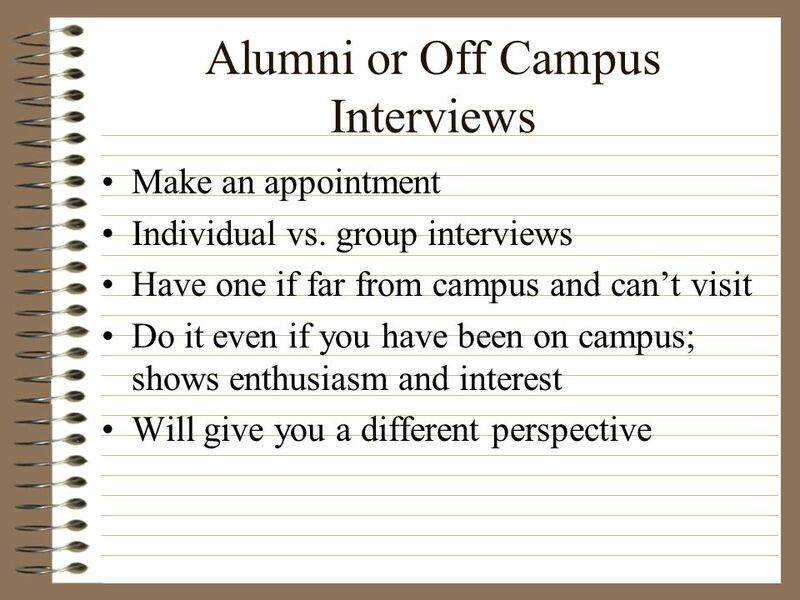 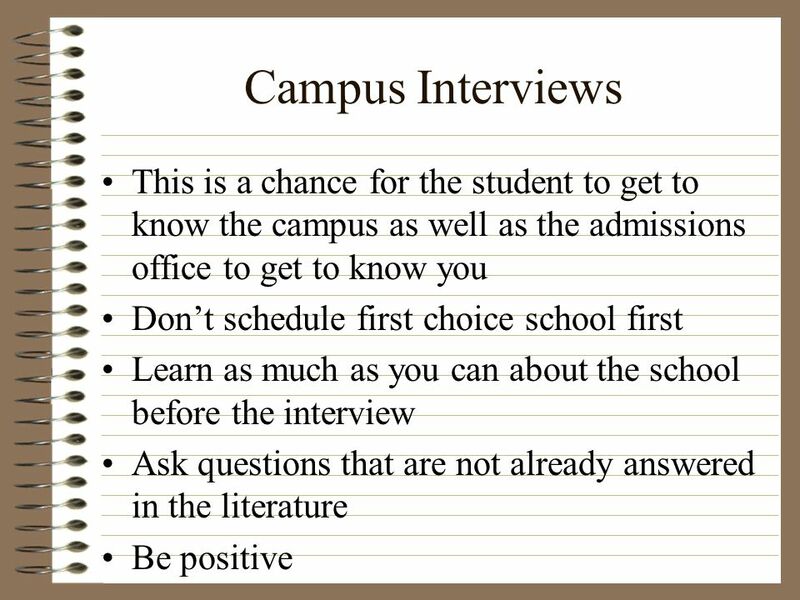 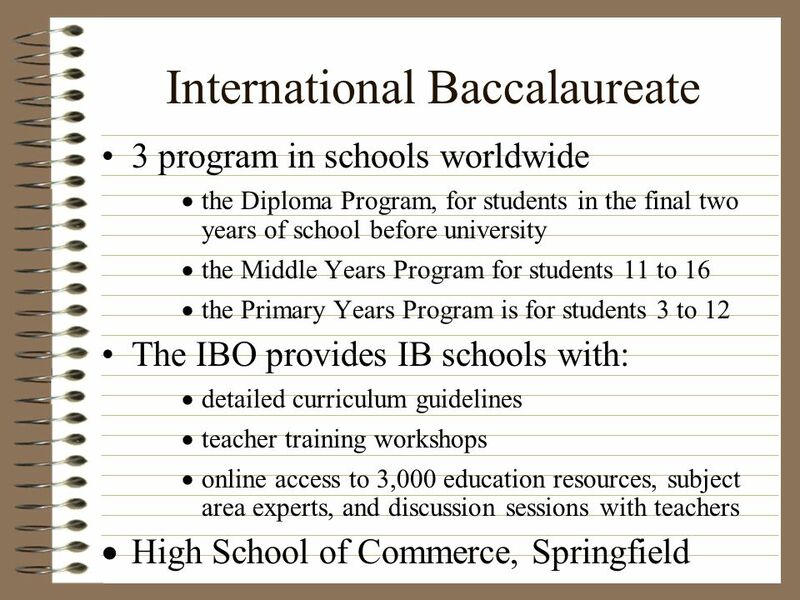 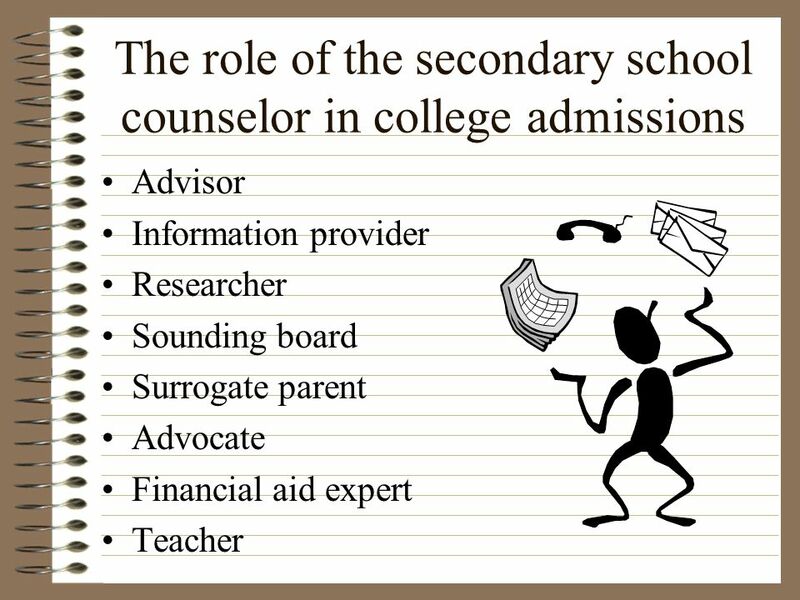 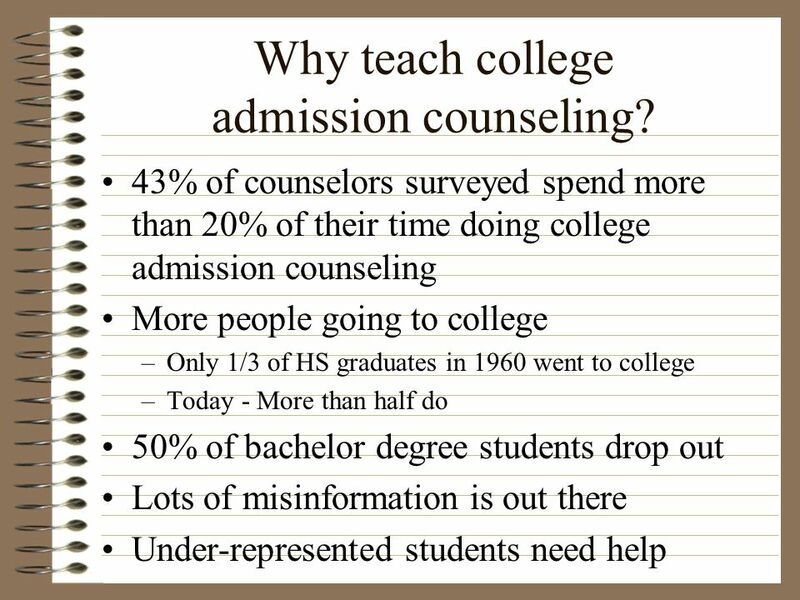 2 Why teach college admission counseling? 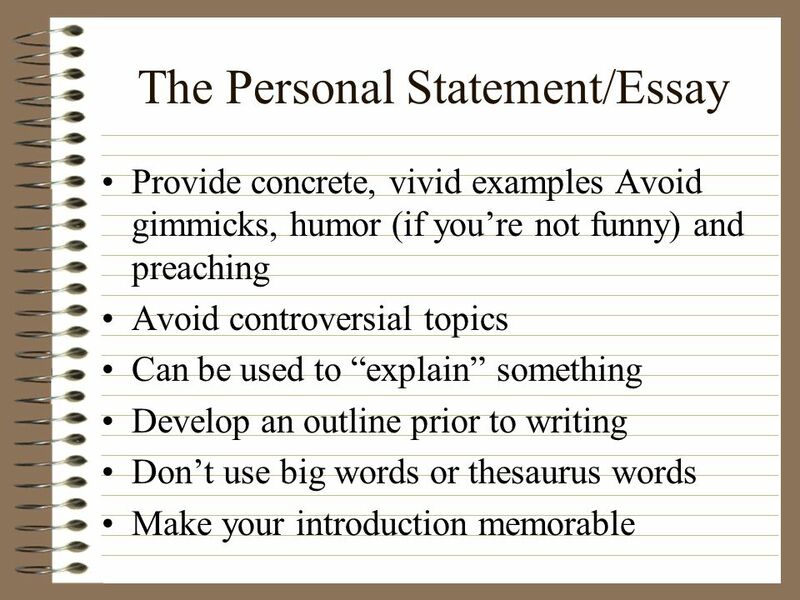 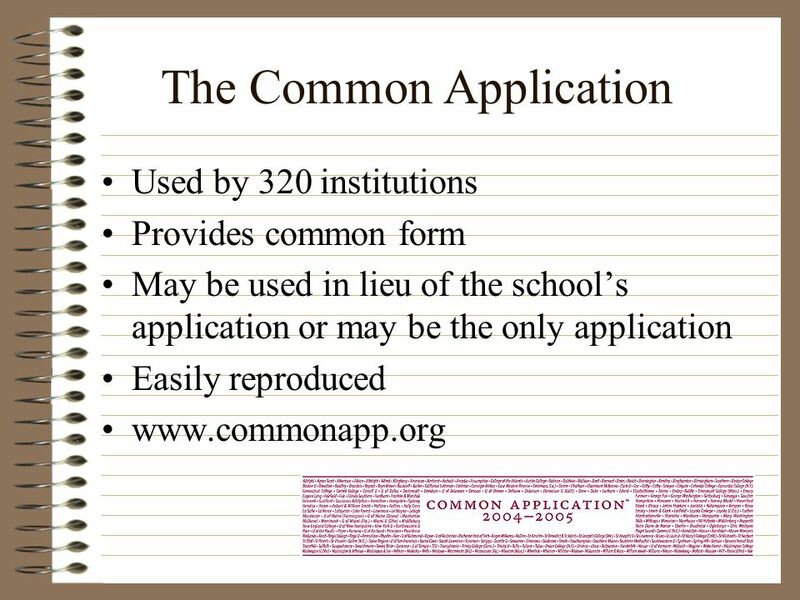 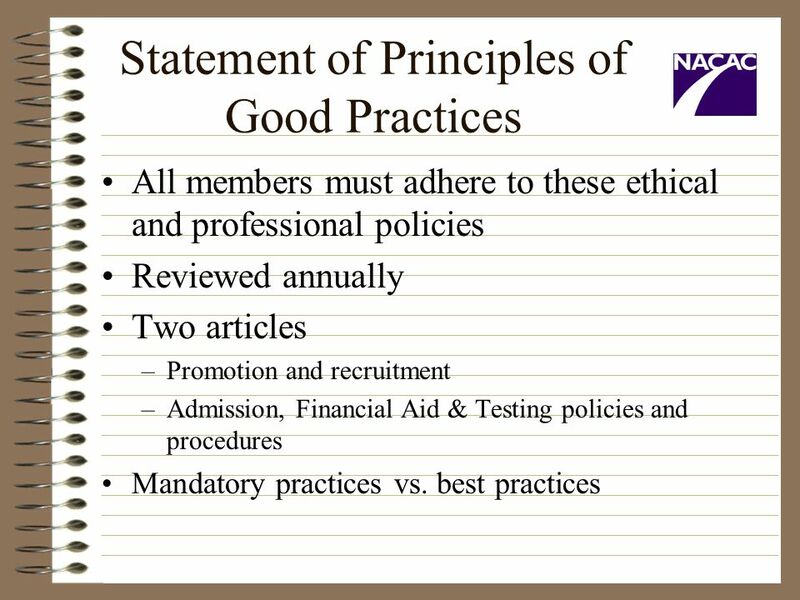 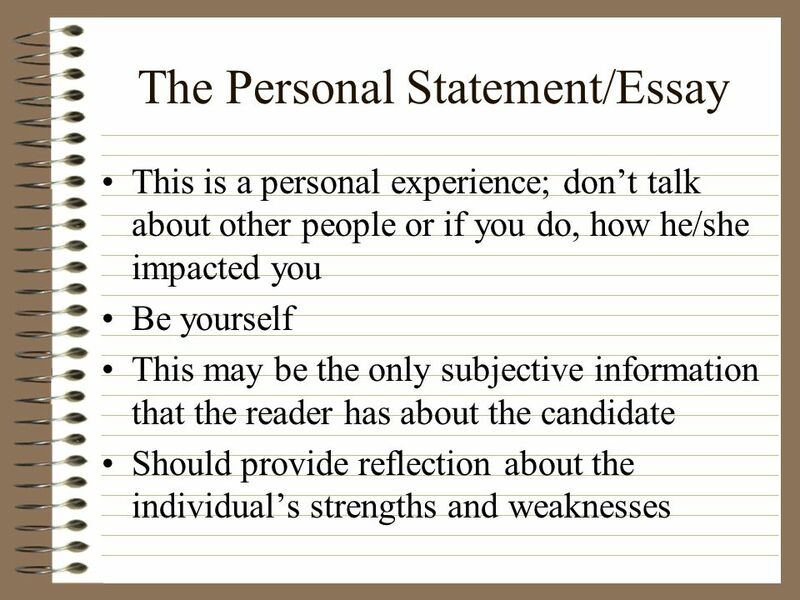 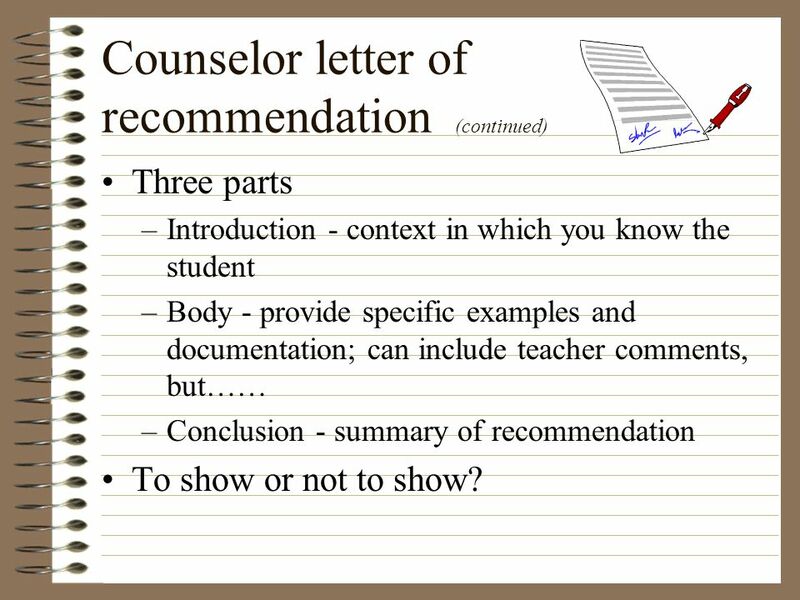 Three parts Introduction - context in which you know the student Body - provide specific examples and documentation; can include teacher comments, but…… Conclusion - summary of recommendation To show or not to show? 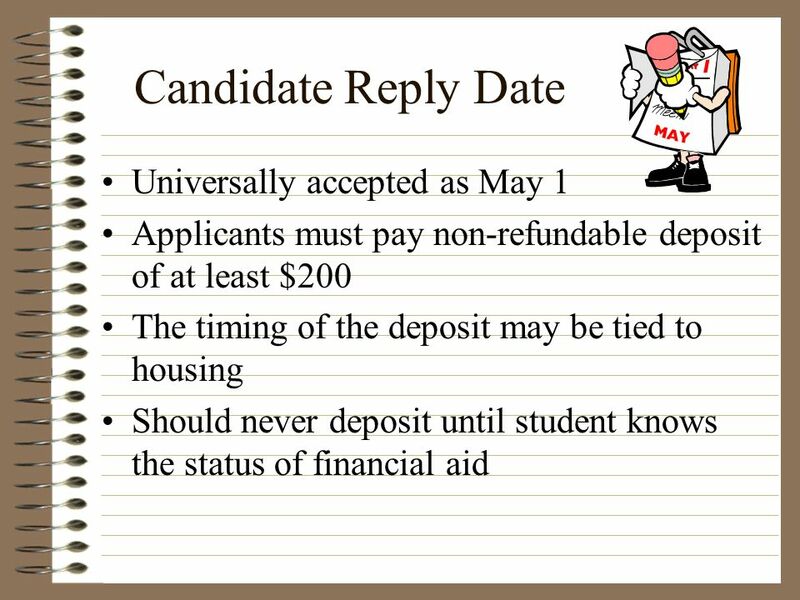 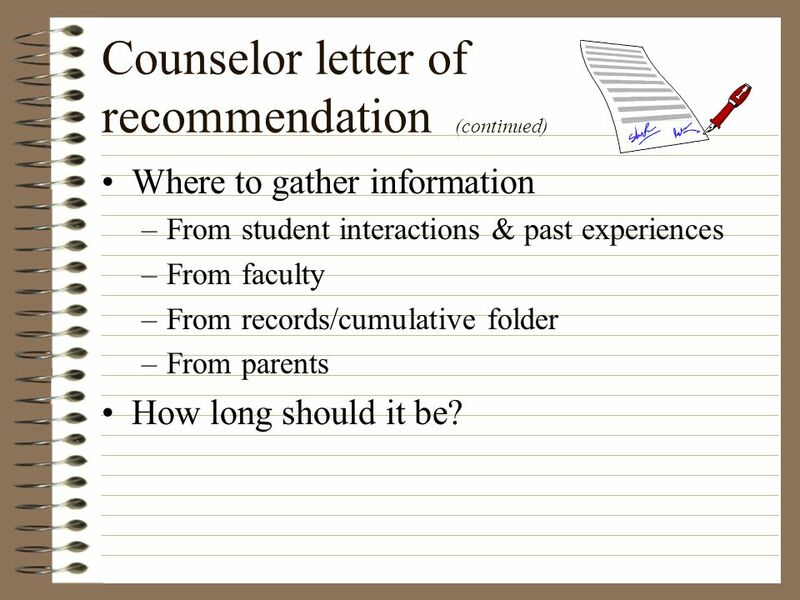 Where to gather information From student interactions & past experiences From faculty From records/cumulative folder From parents How long should it be? 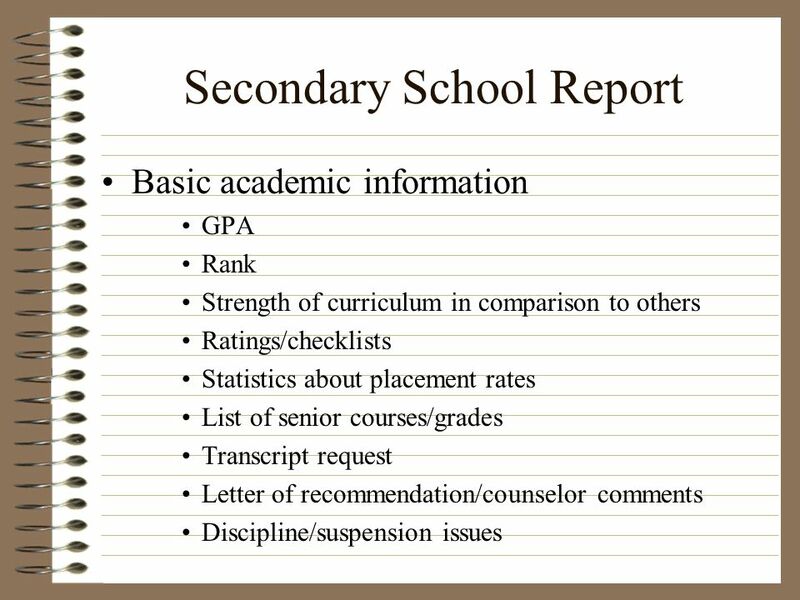 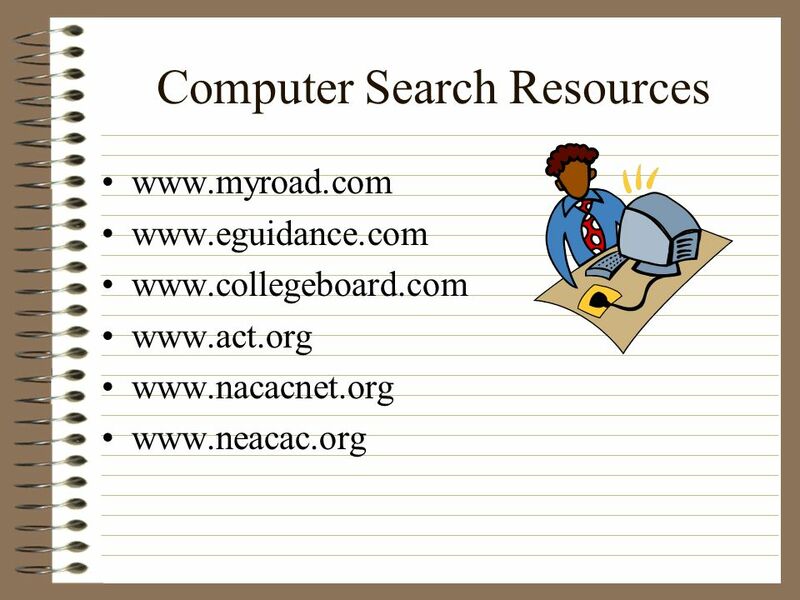 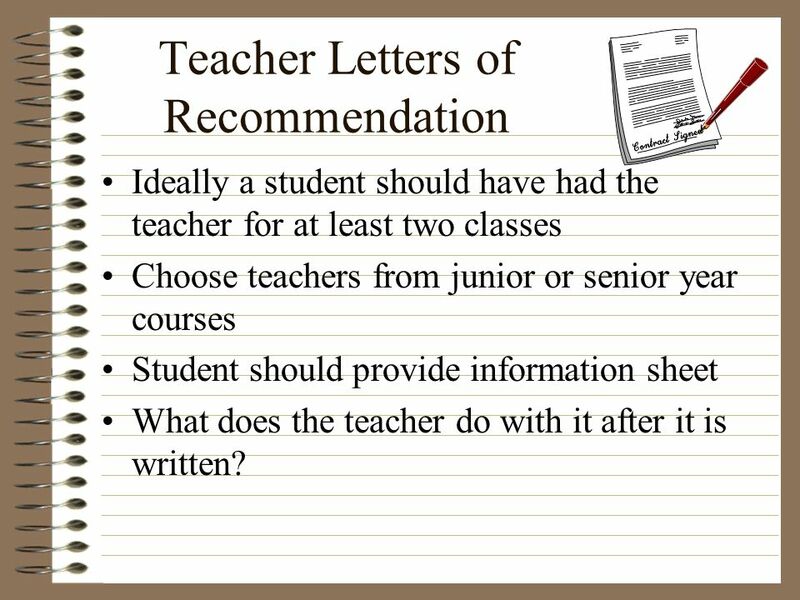 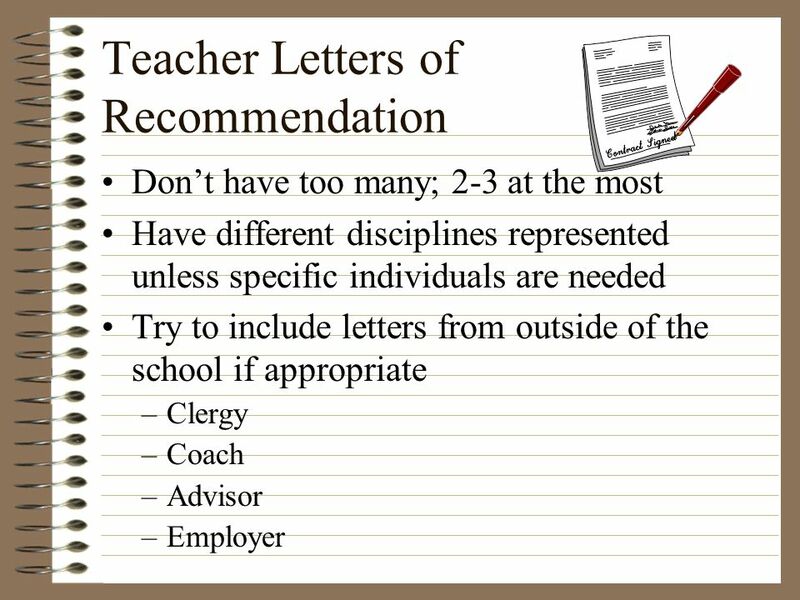 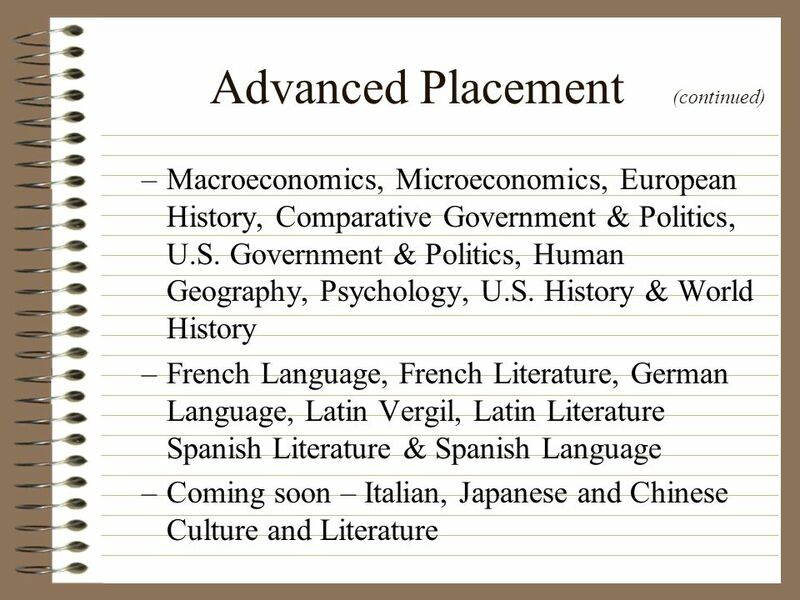 Ideally a student should have had the teacher for at least two classes Choose teachers from junior or senior year courses Student should provide information sheet What does the teacher do with it after it is written? 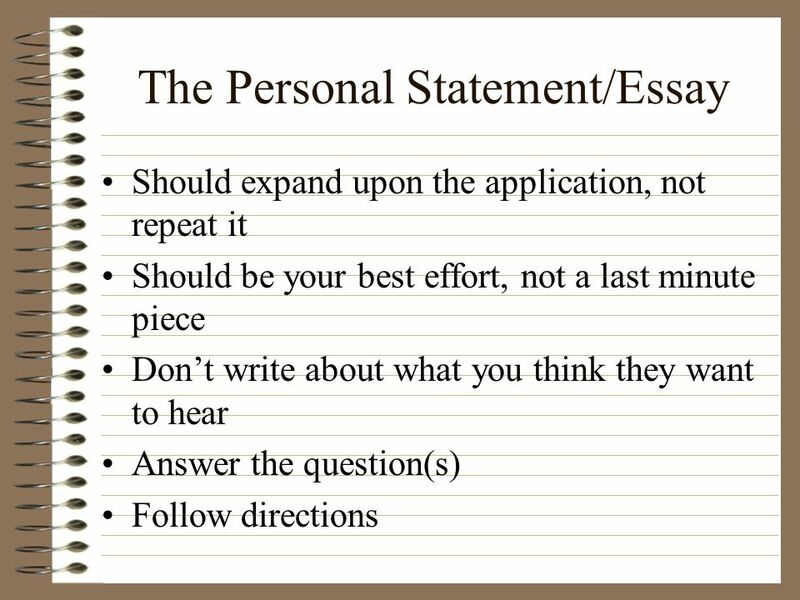 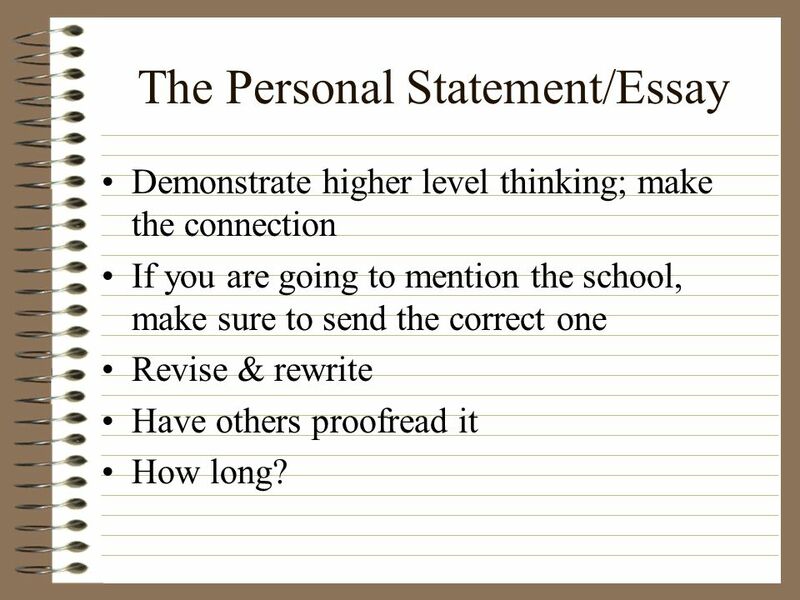 Demonstrate higher level thinking; make the connection If you are going to mention the school, make sure to send the correct one Revise & rewrite Have others proofread it How long? 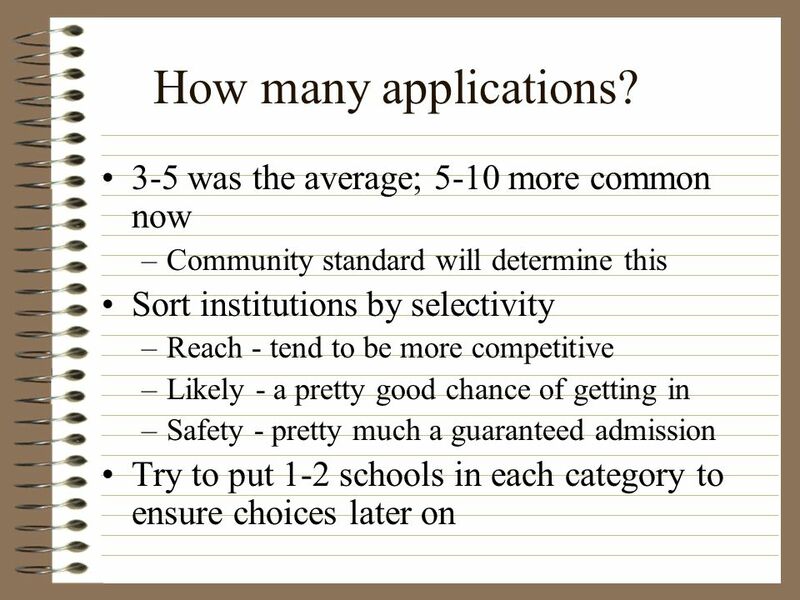 What scores are needed and who wants them? 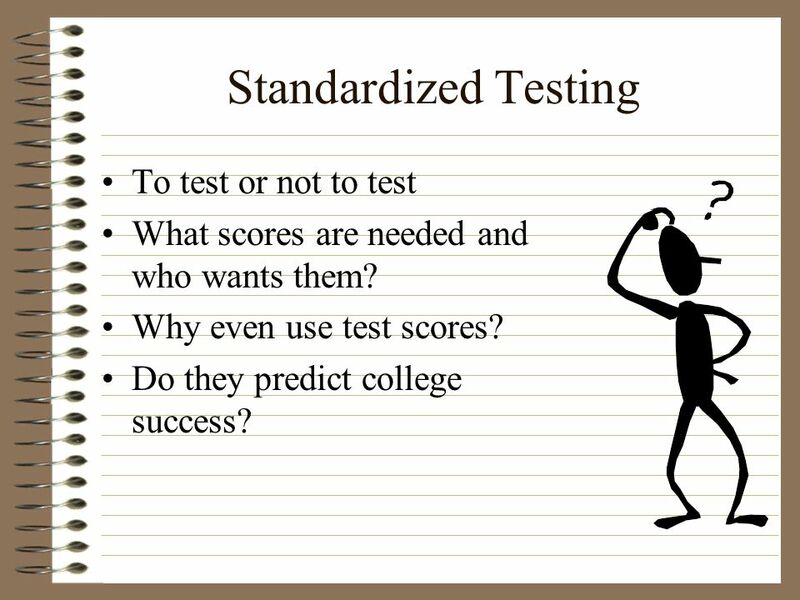 Why even use test scores? 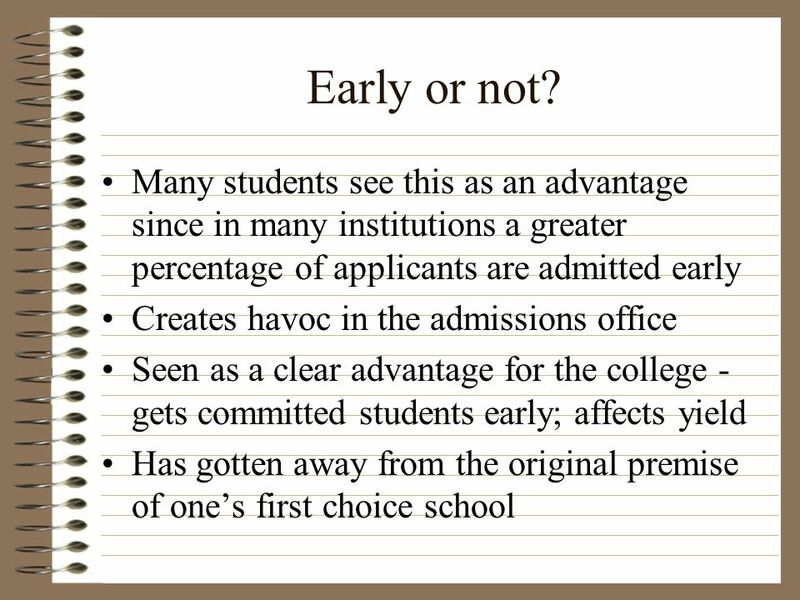 Do they predict college success? 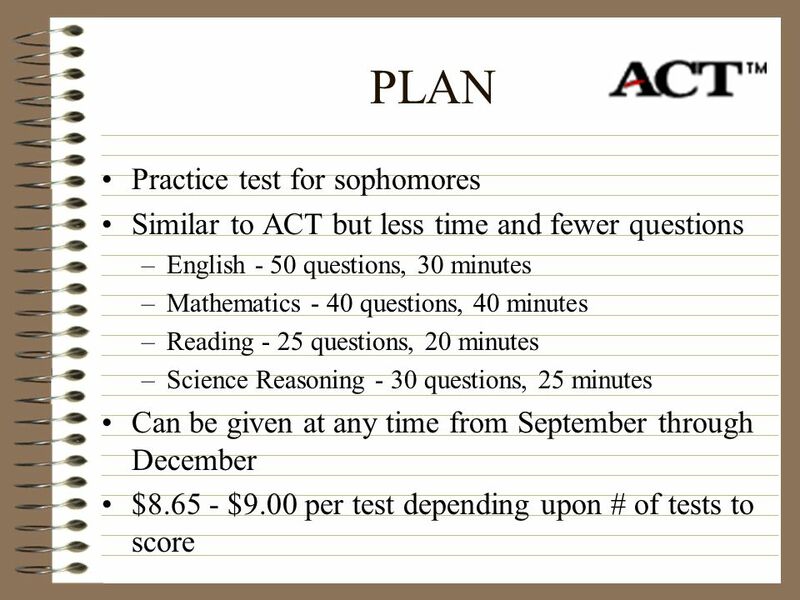 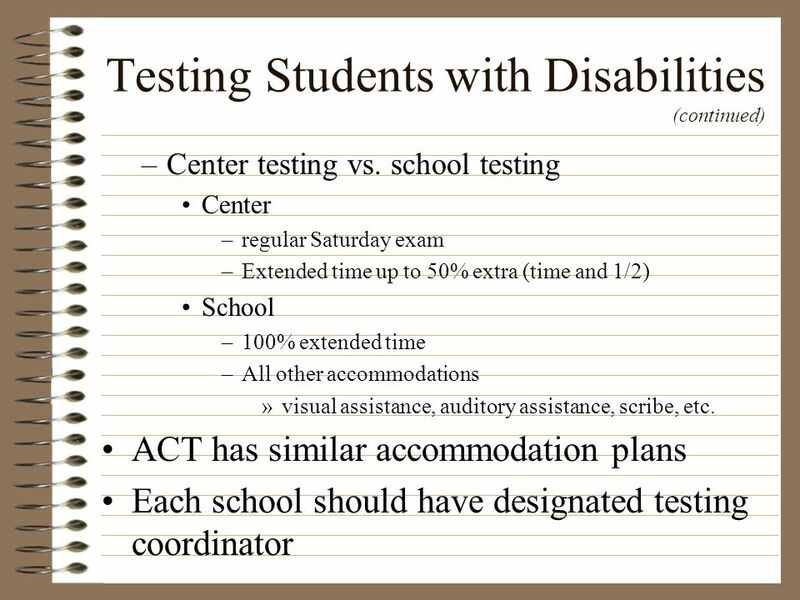 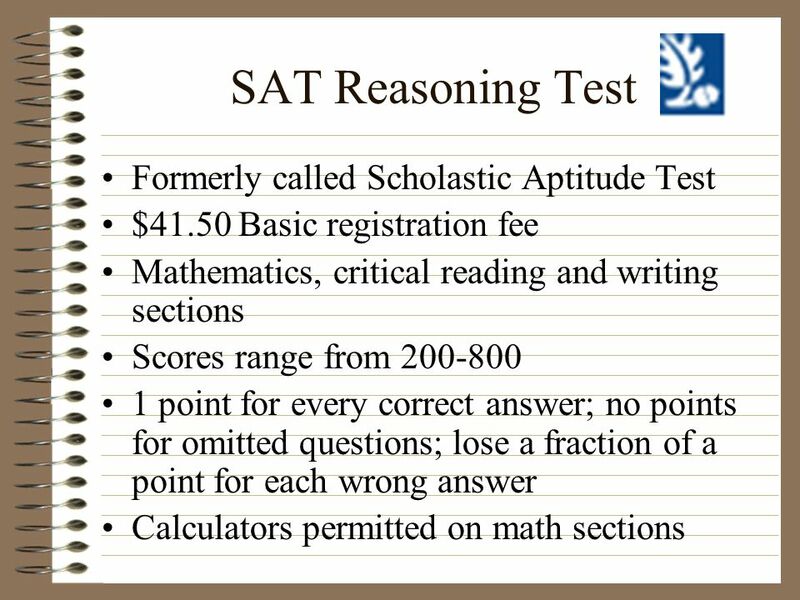 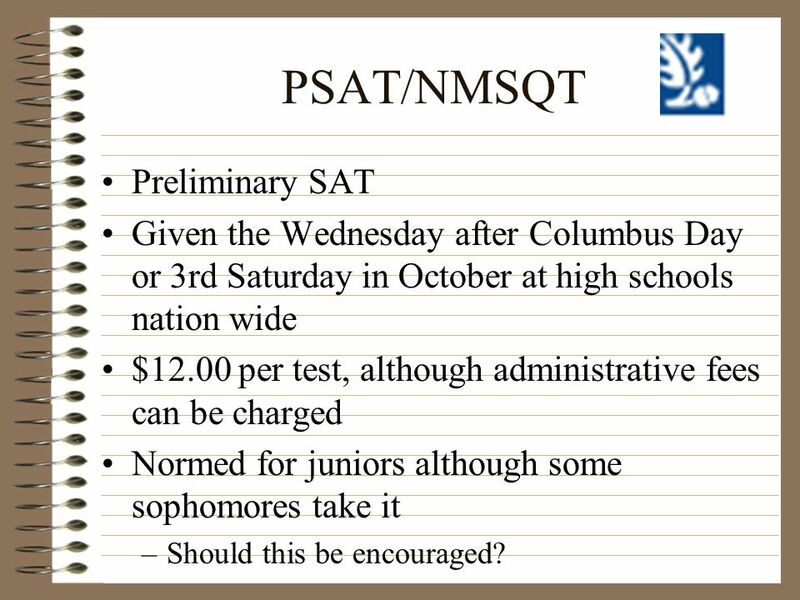 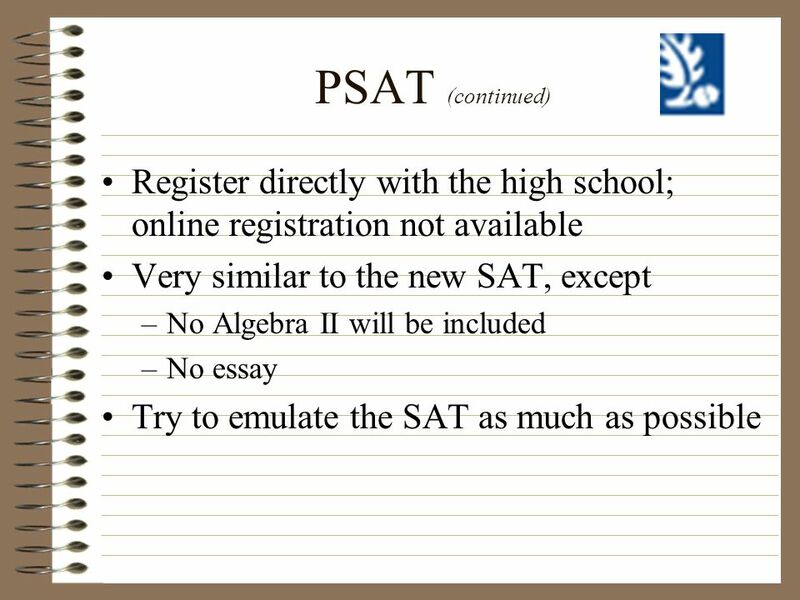 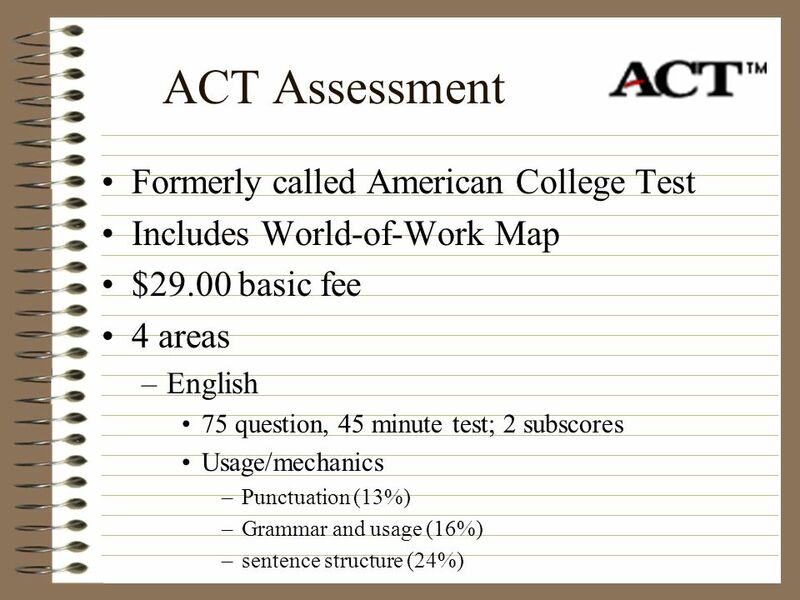 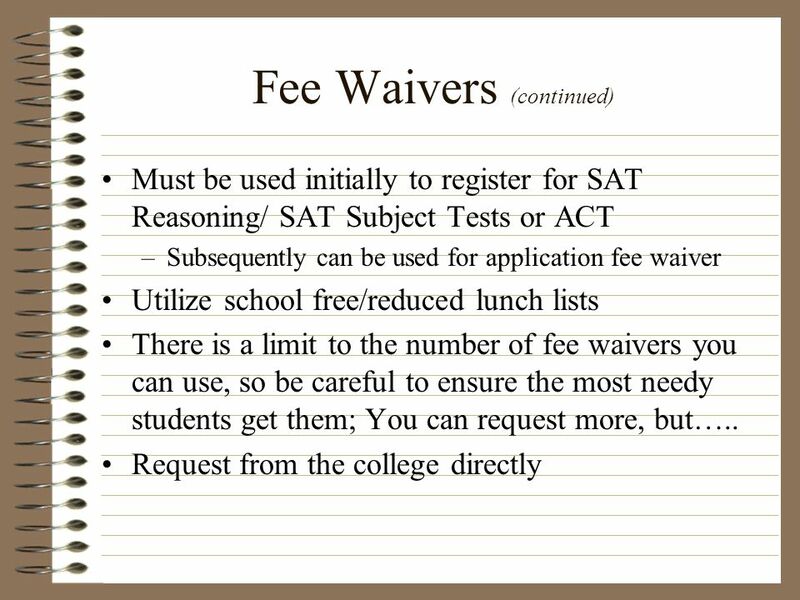 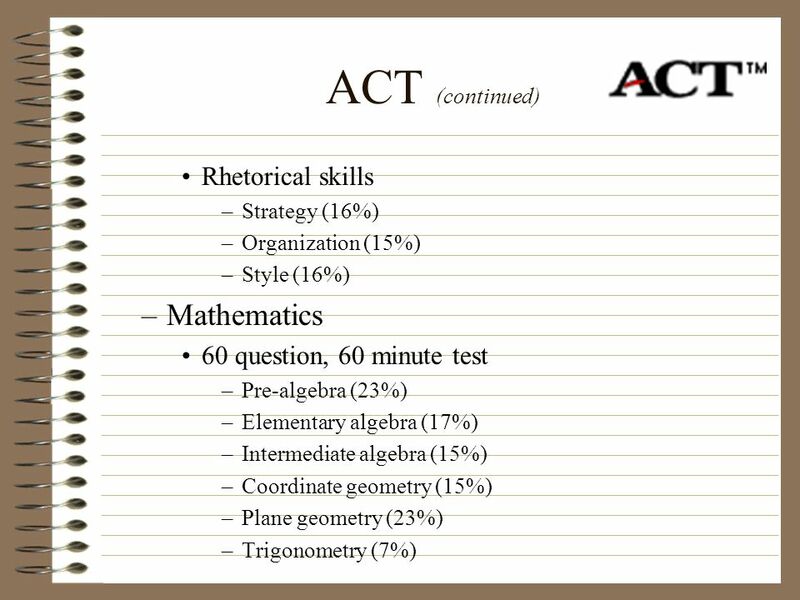 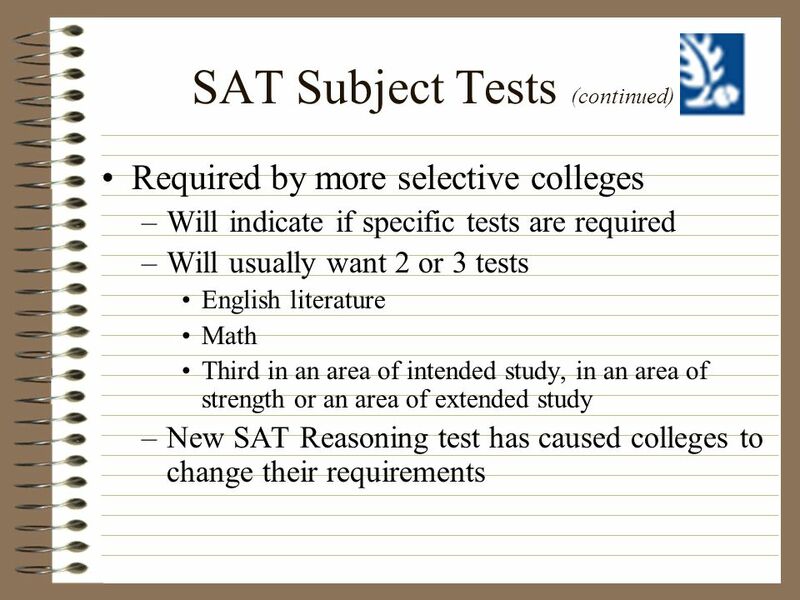 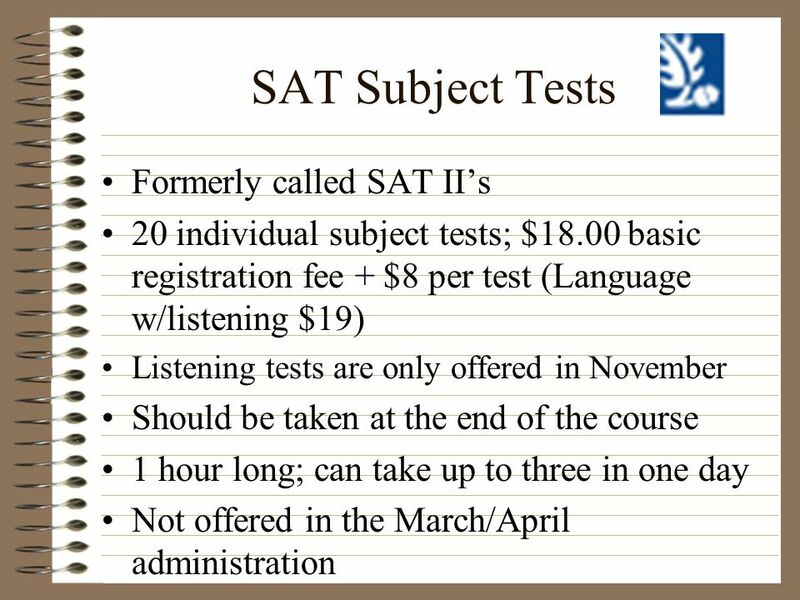 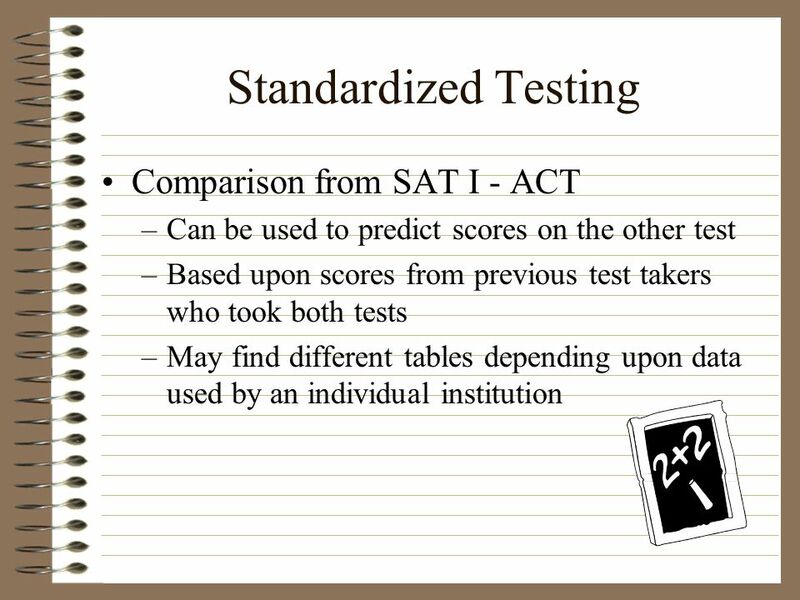 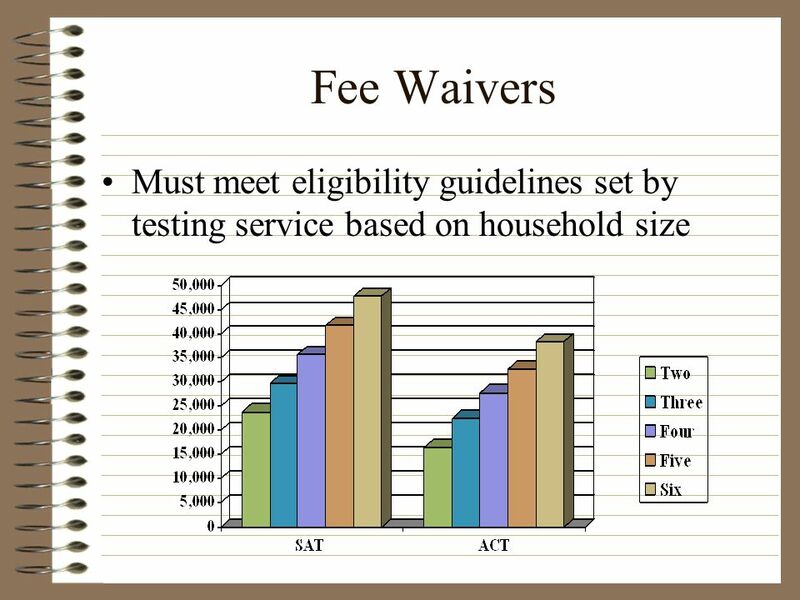 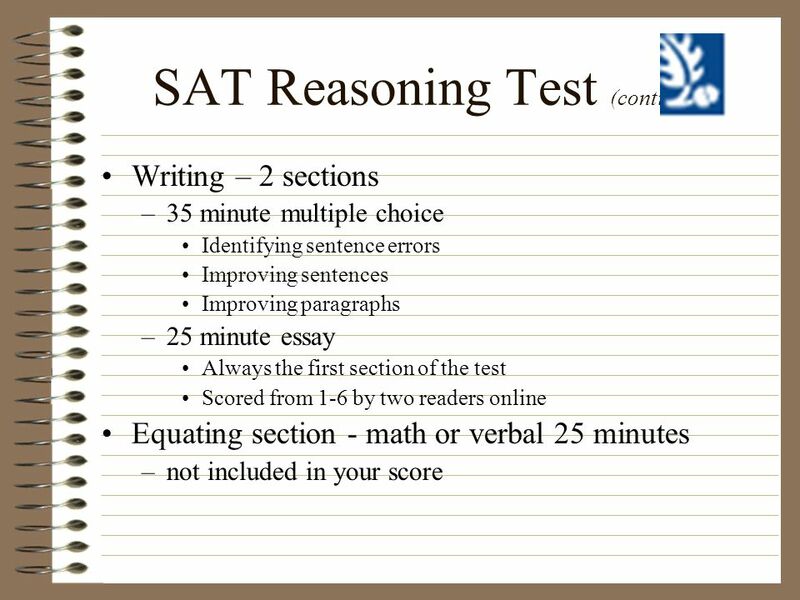 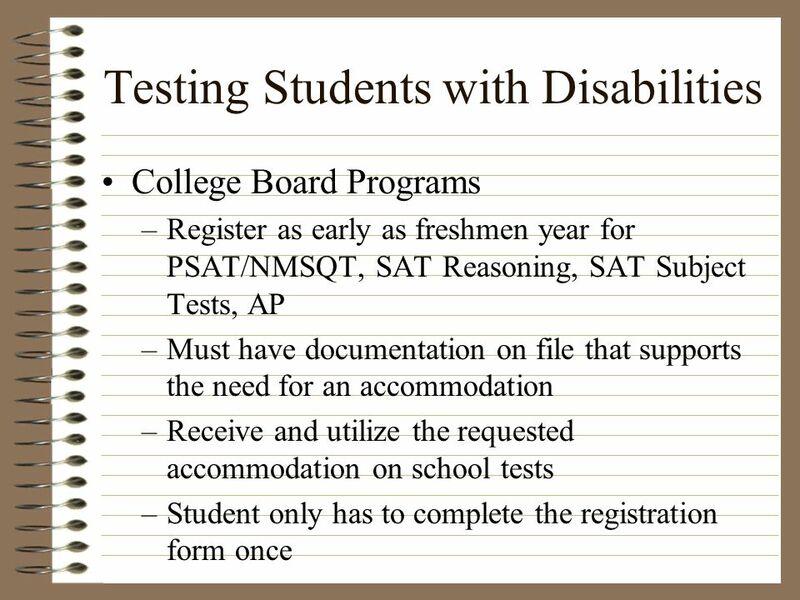 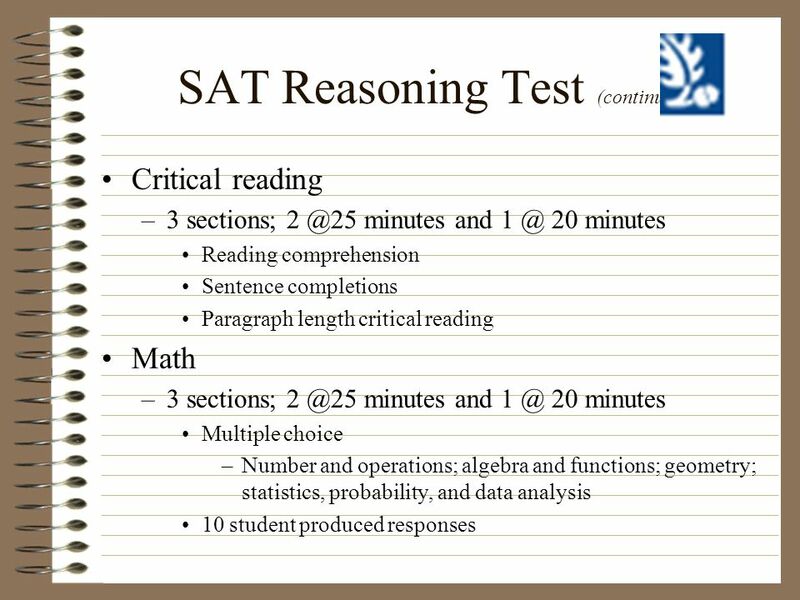 Given the Wednesday after Columbus Day or 3rd Saturday in October at high schools nation wide $12.00 per test, although administrative fees can be charged Normed for juniors although some sophomores take it Should this be encouraged? 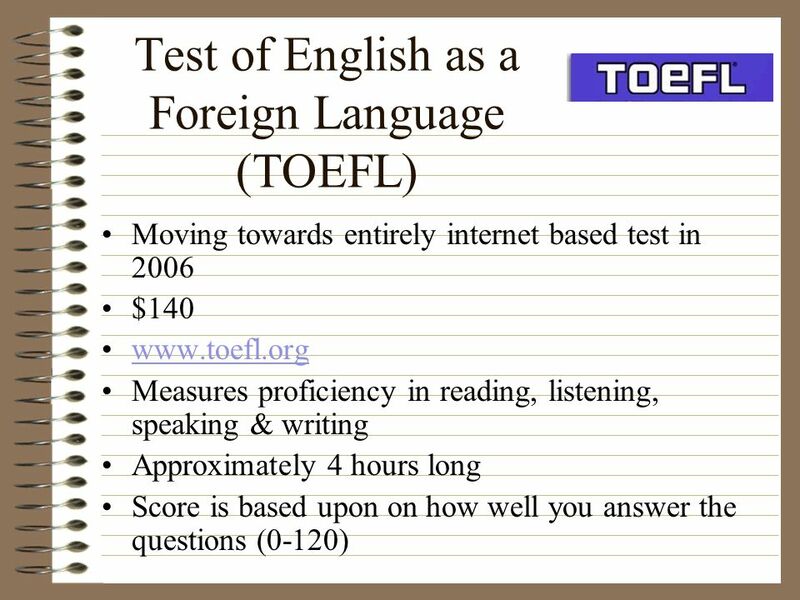 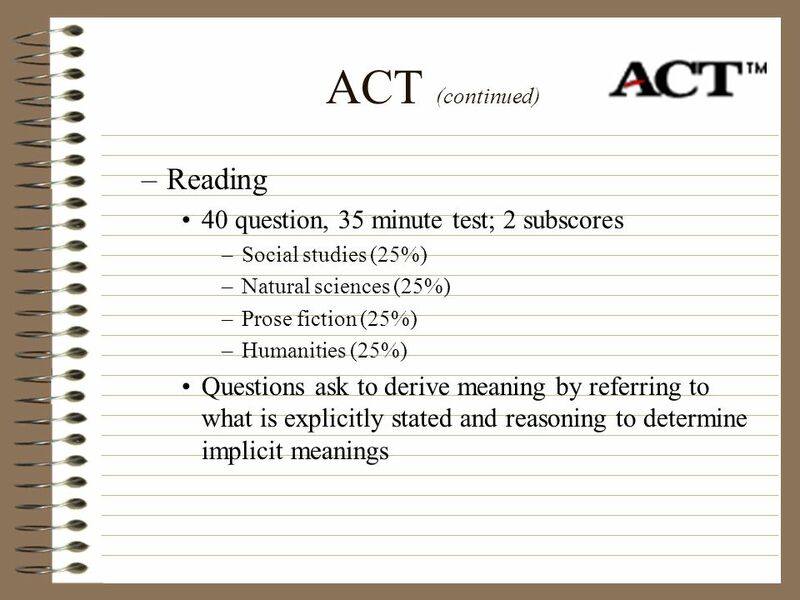 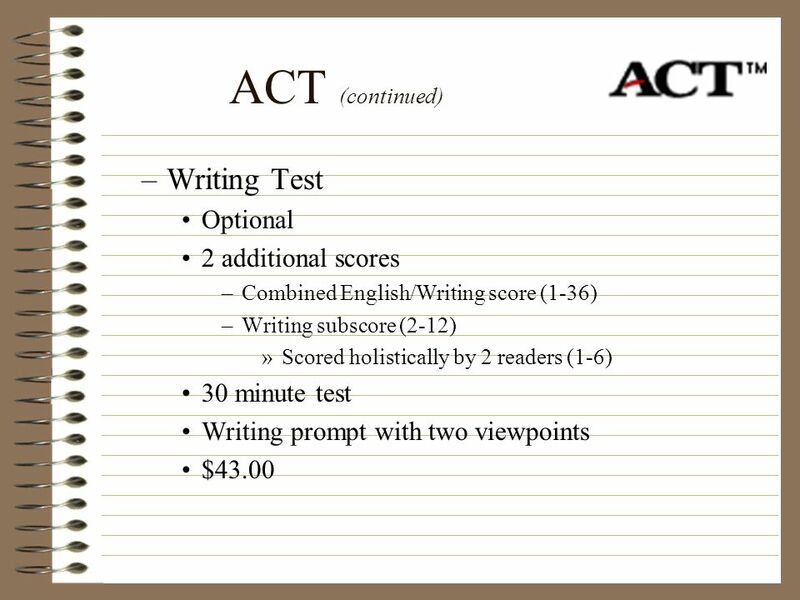 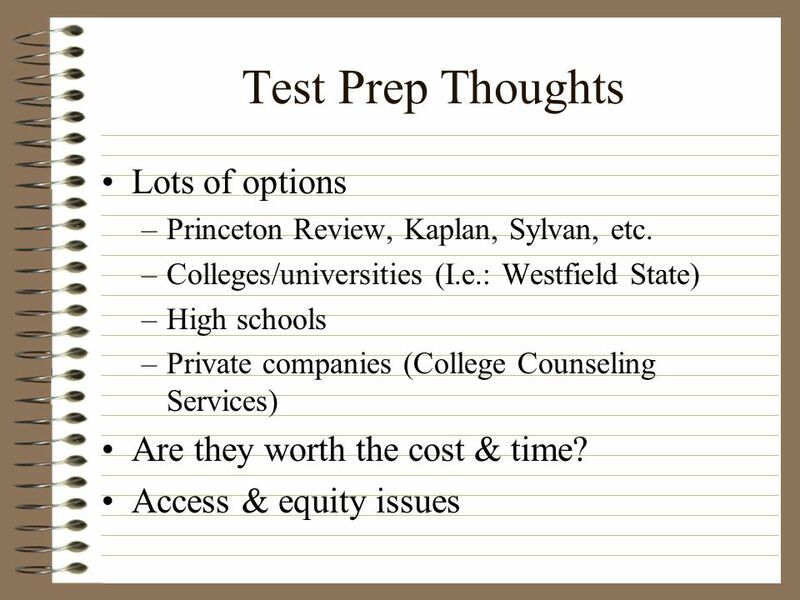 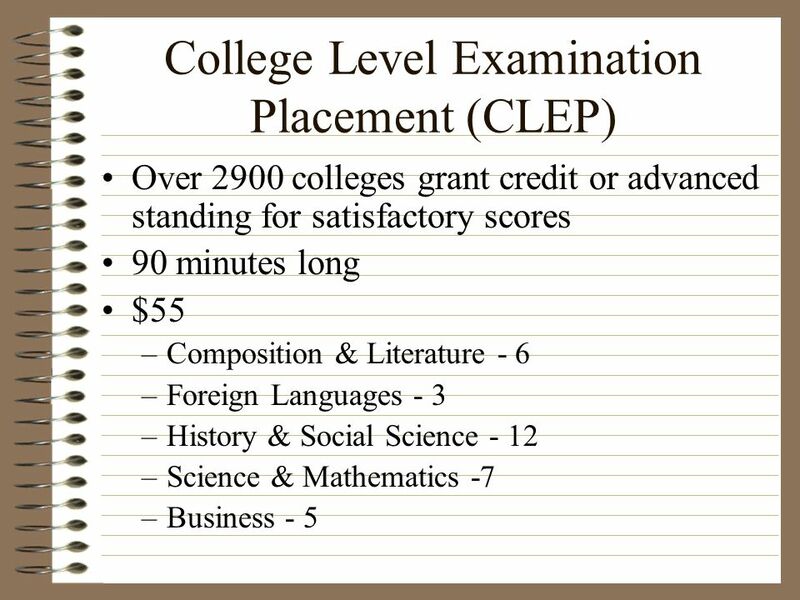 84 Test Prep Thoughts Lots of options Are they worth the cost & time? 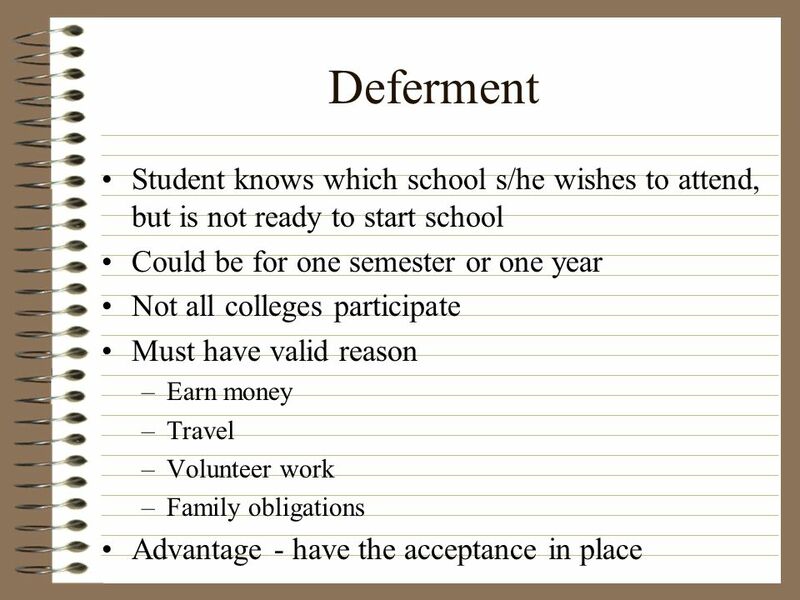 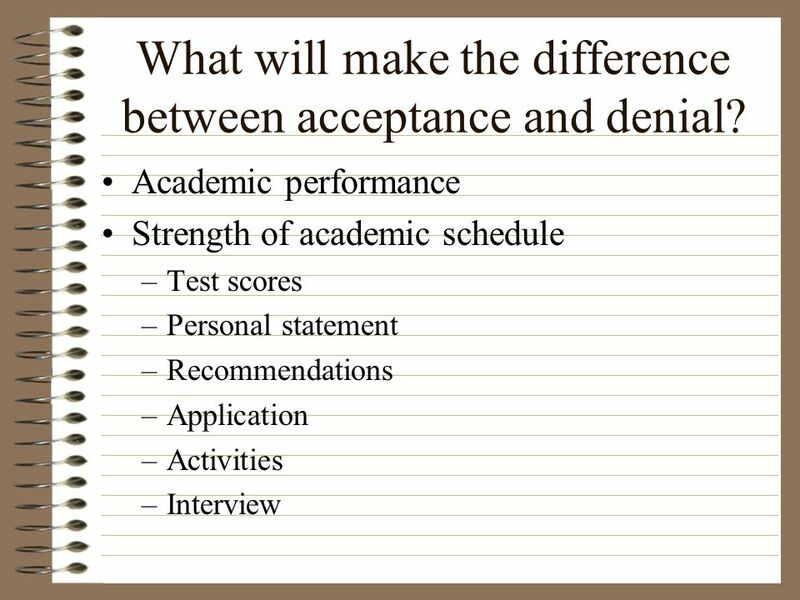 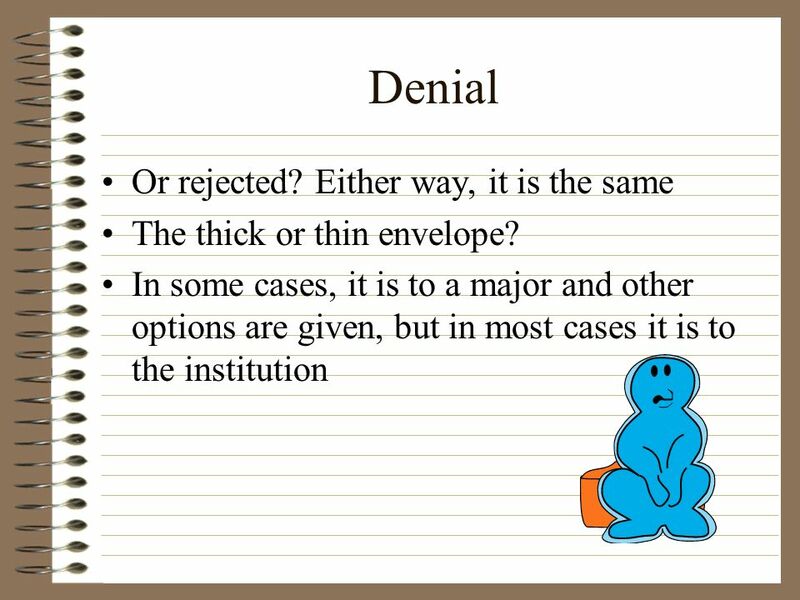 98 What will make the difference between acceptance and denial? 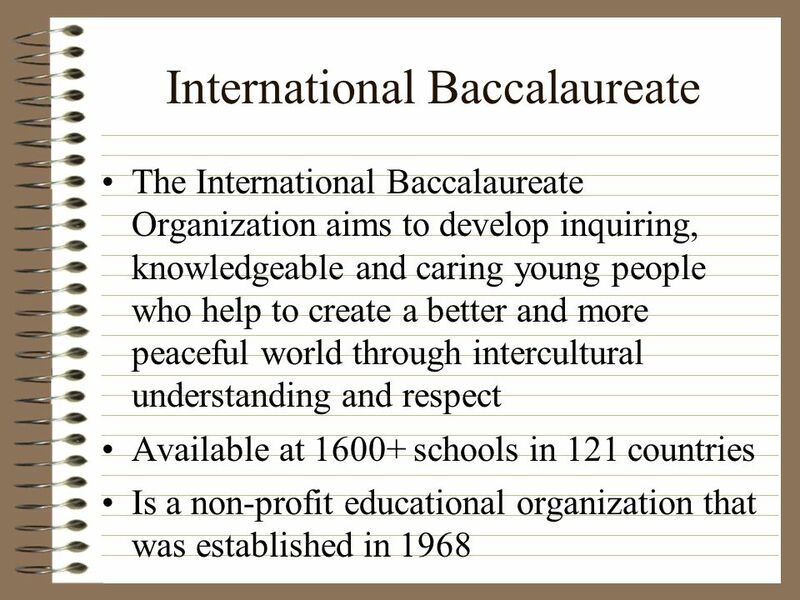 These students are in all schools Students of various colors, cultures & ethnicities Students of varying socio-economic status Students from different religious backgrounds Students with learning differences Gay/lesbian/bisexual/transgendered students Gender How do deal with issues of diversity? 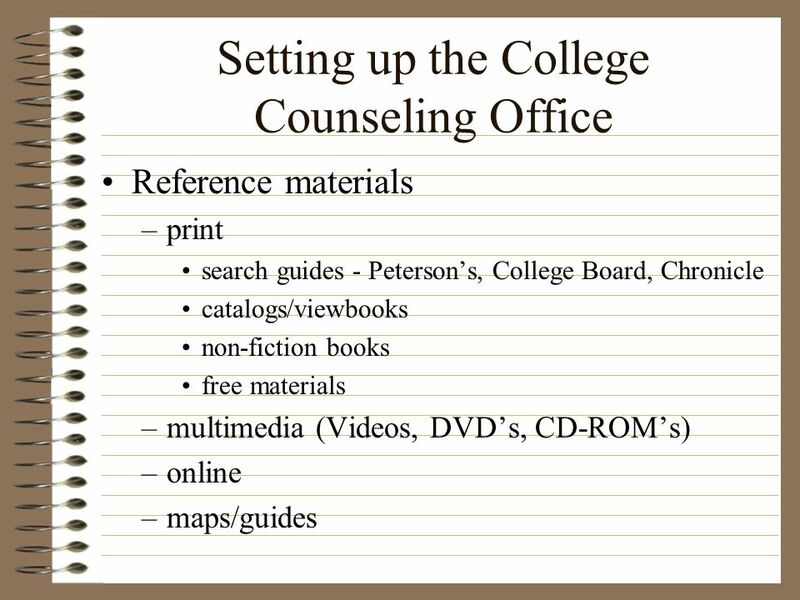 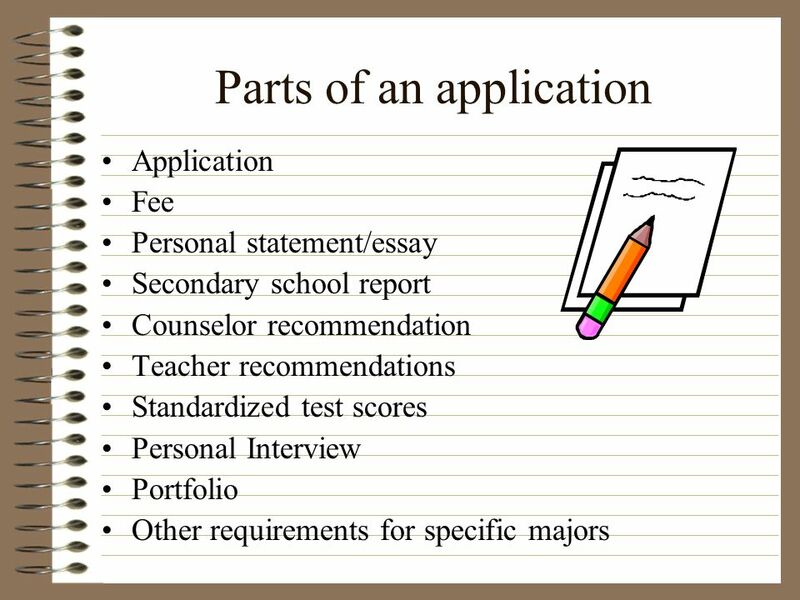 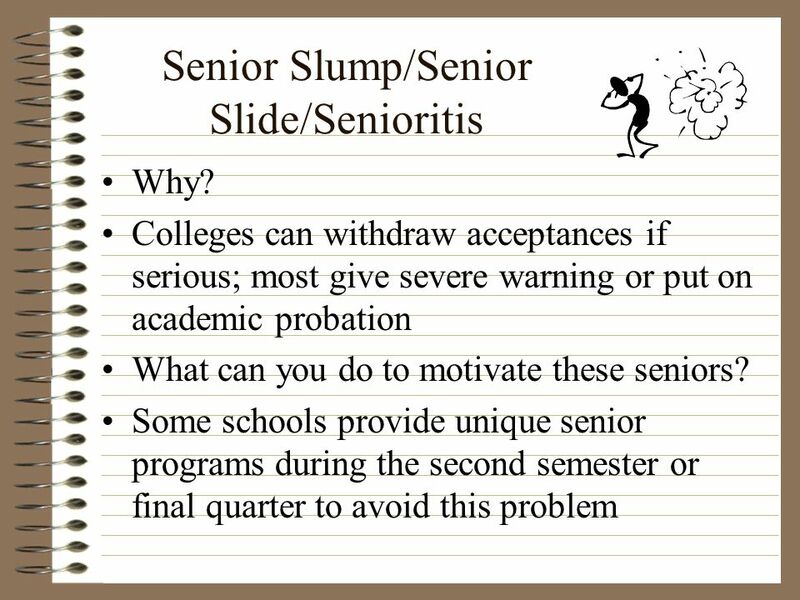 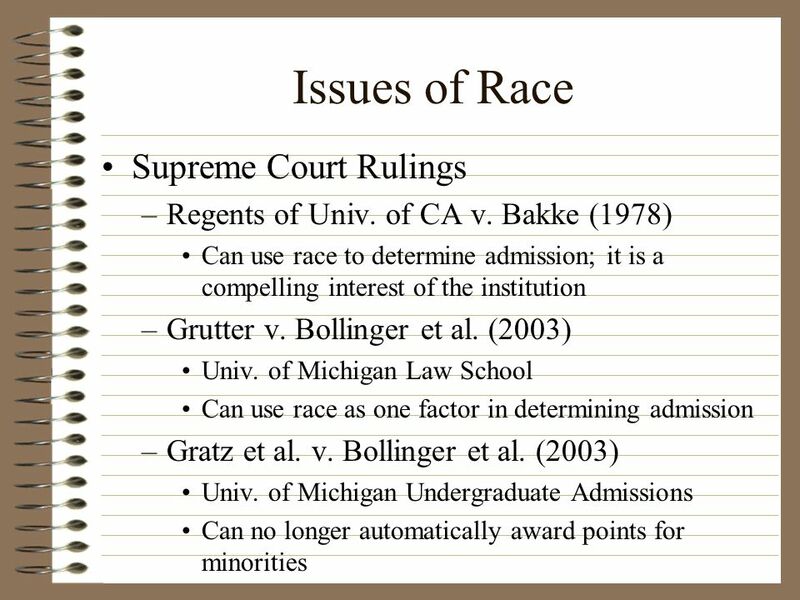 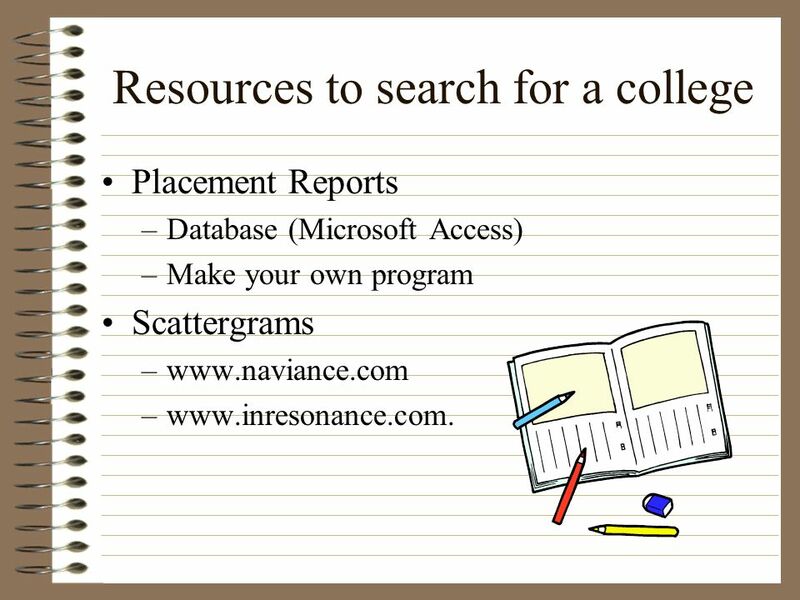 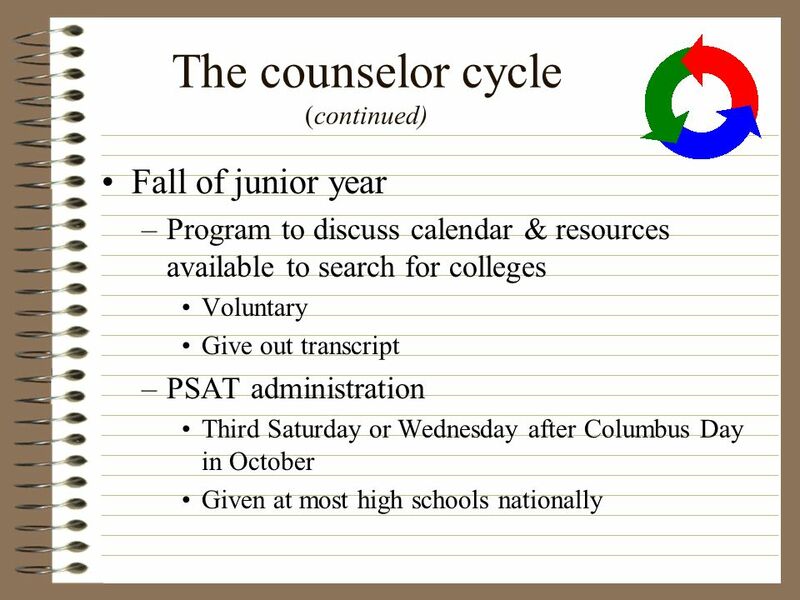 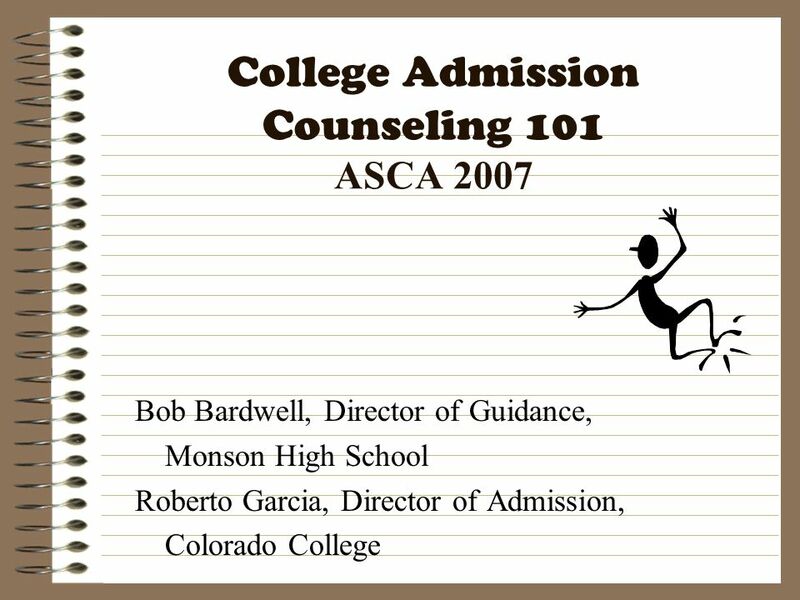 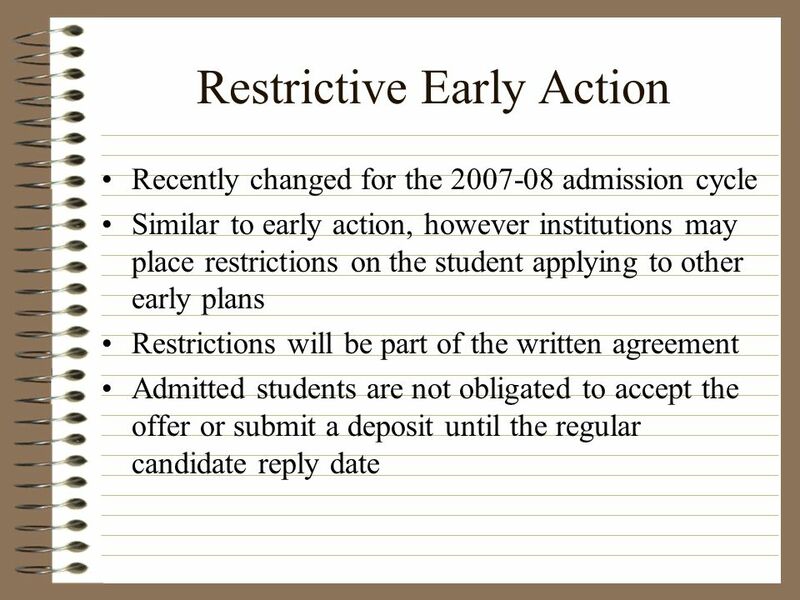 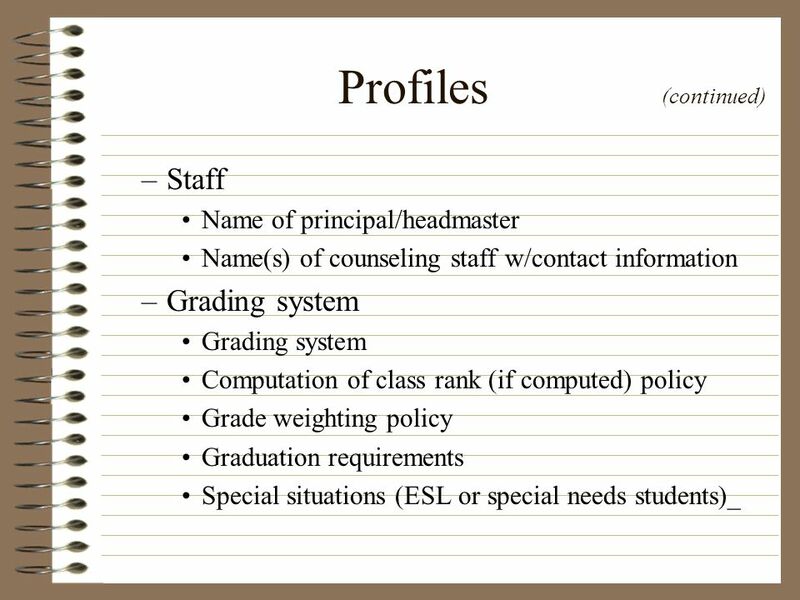 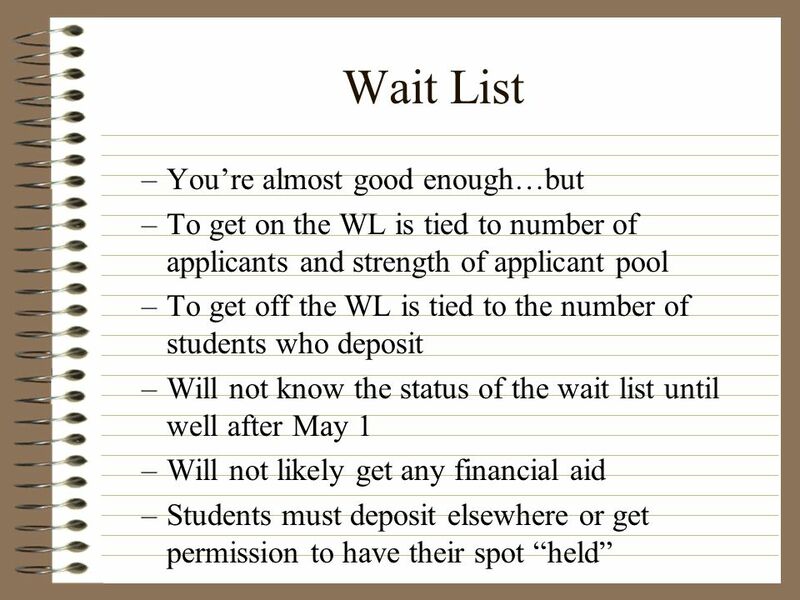 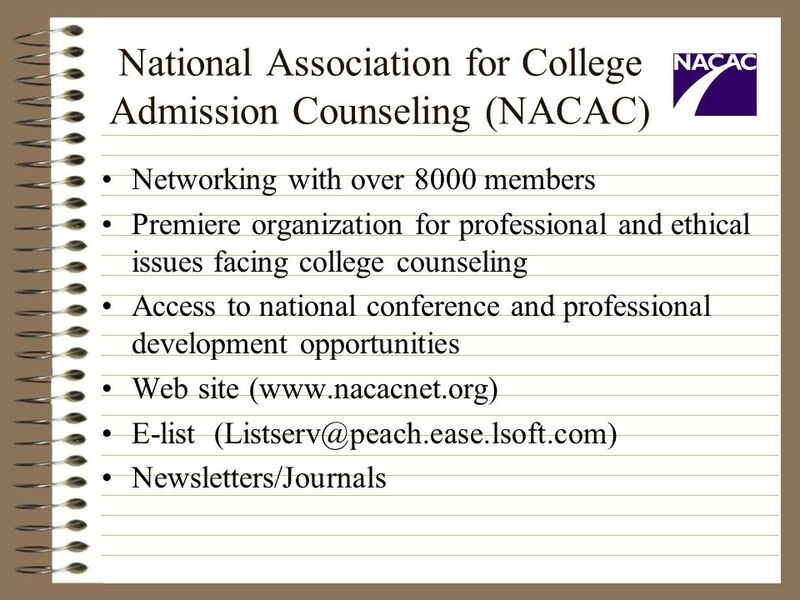 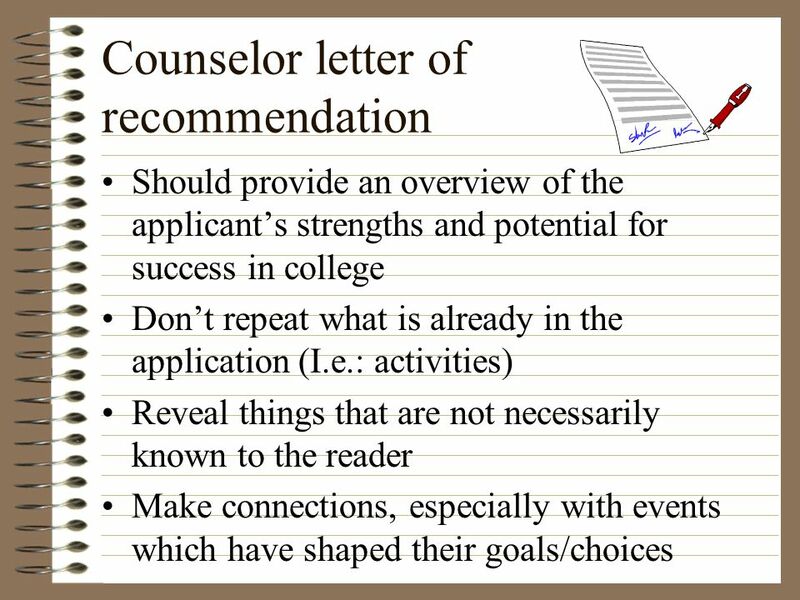 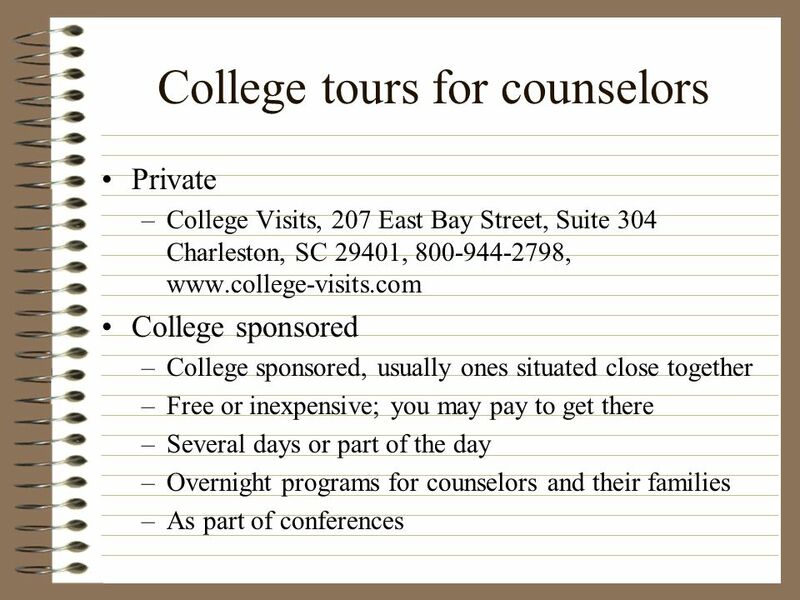 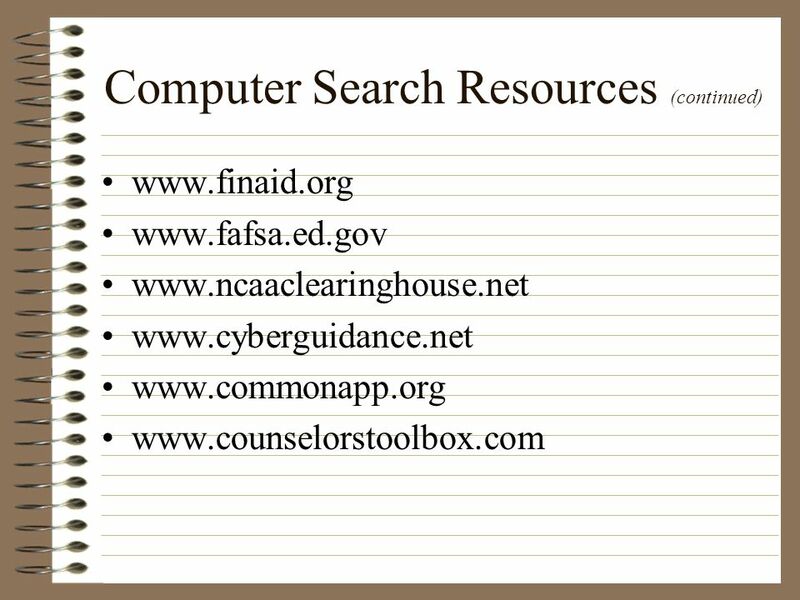 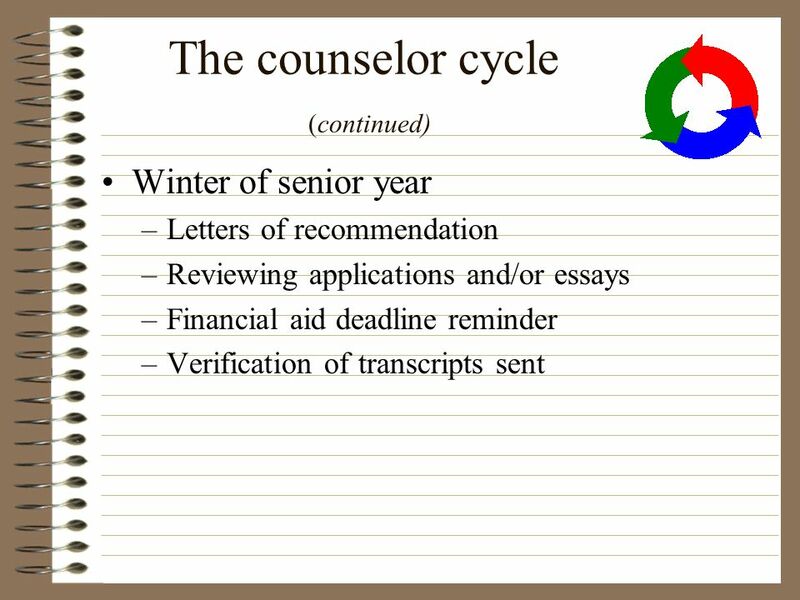 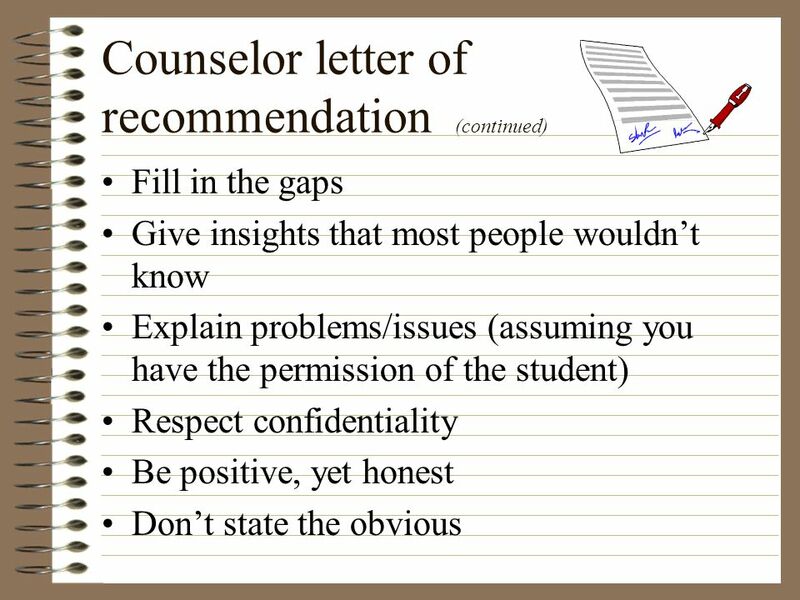 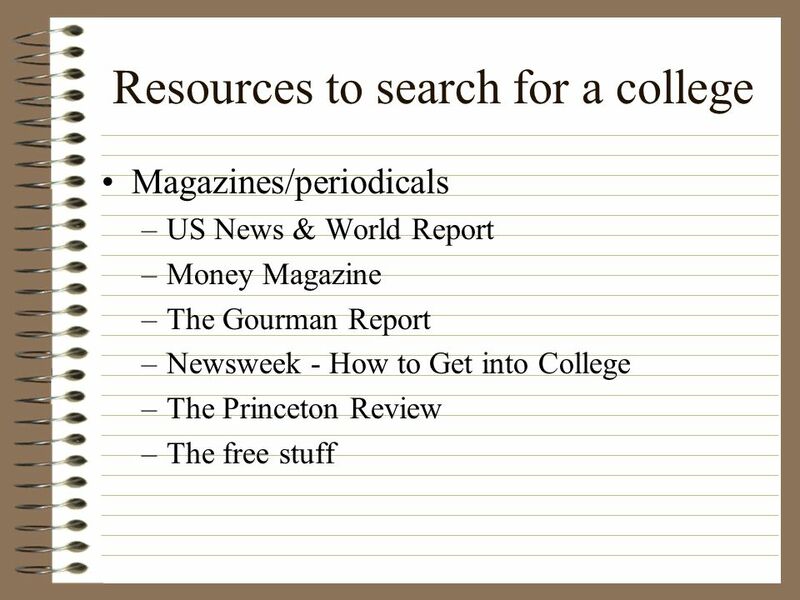 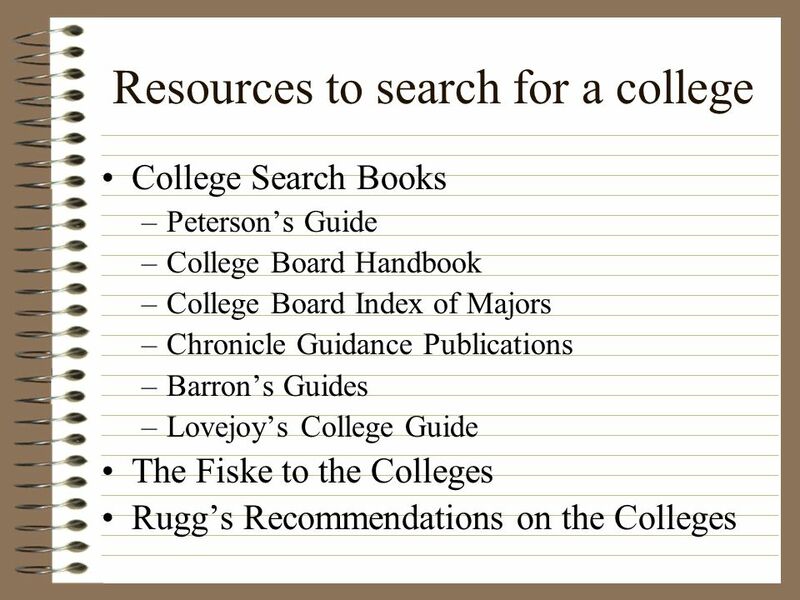 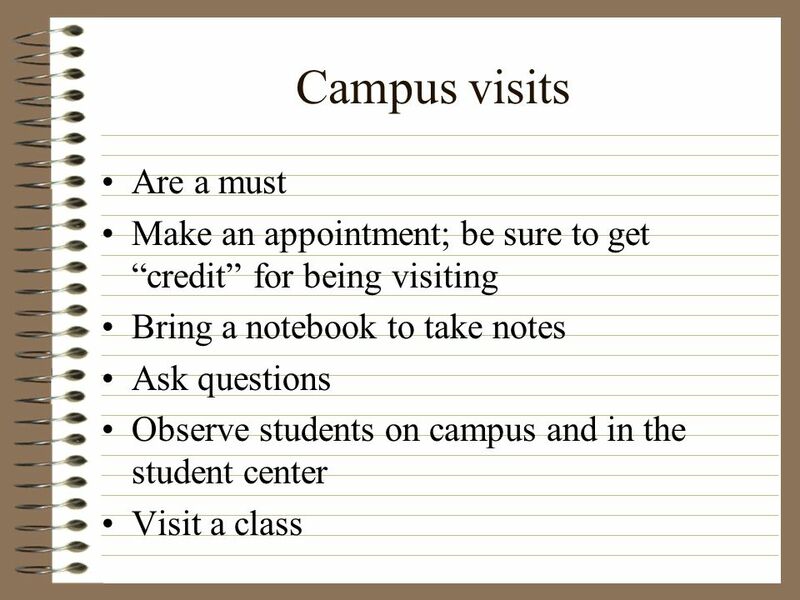 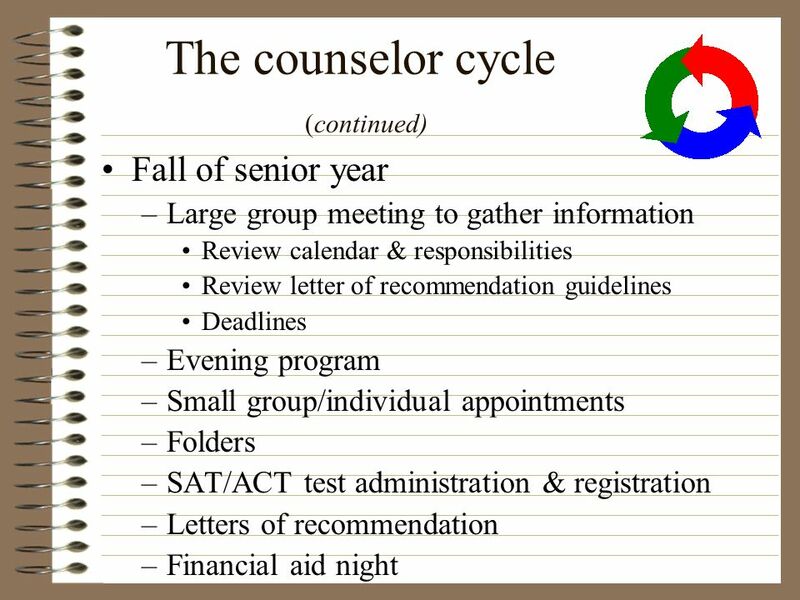 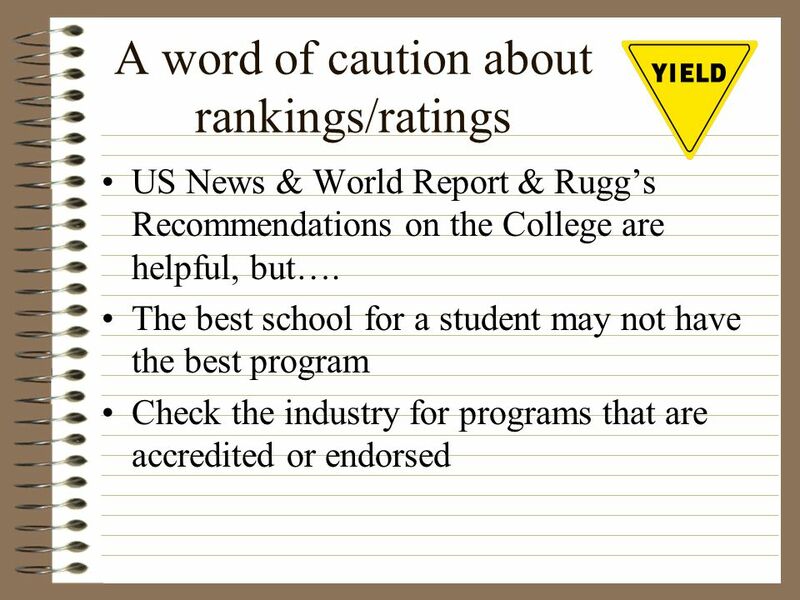 Download ppt "College Admission Counseling 101 ASCA 2007"
An Introduction to College Counseling. 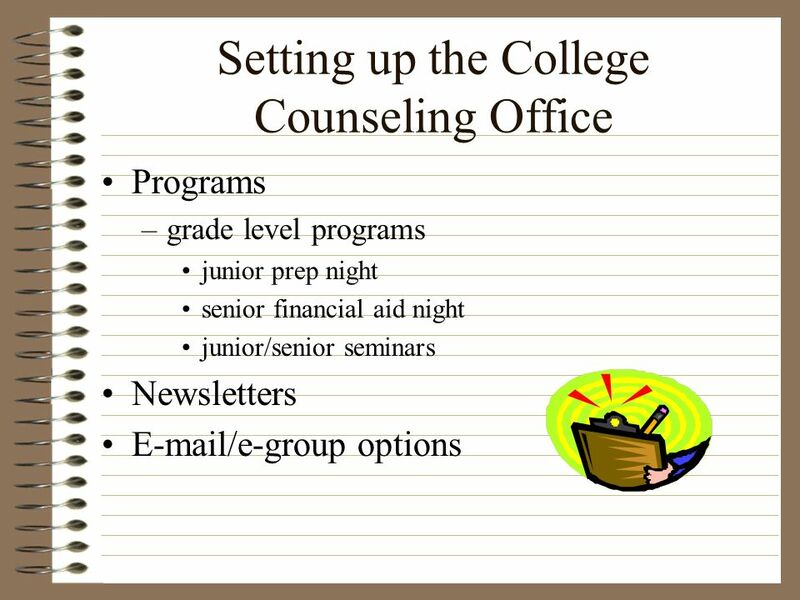 Graduate school Get a job trial by fire Connect with the college expert at your school Get organized – School profile. 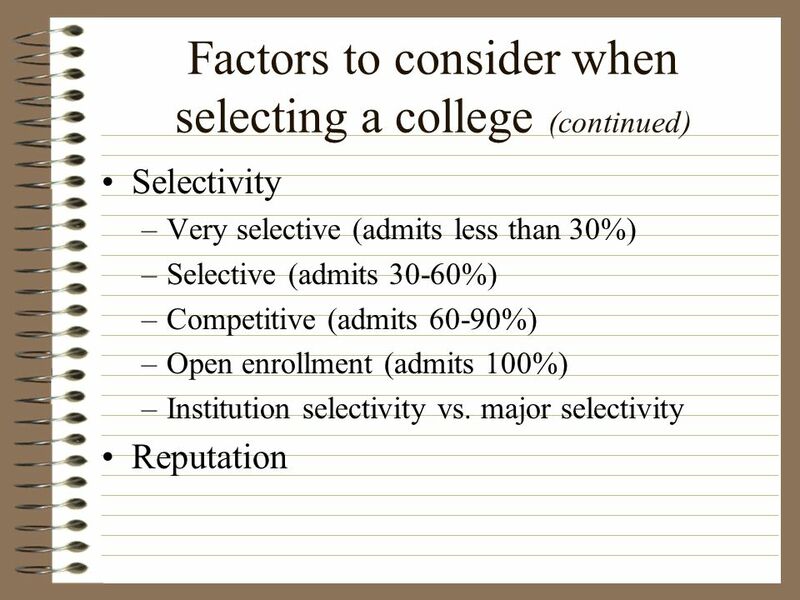 Two of the most accurate predictors of post-secondary success are: 1. 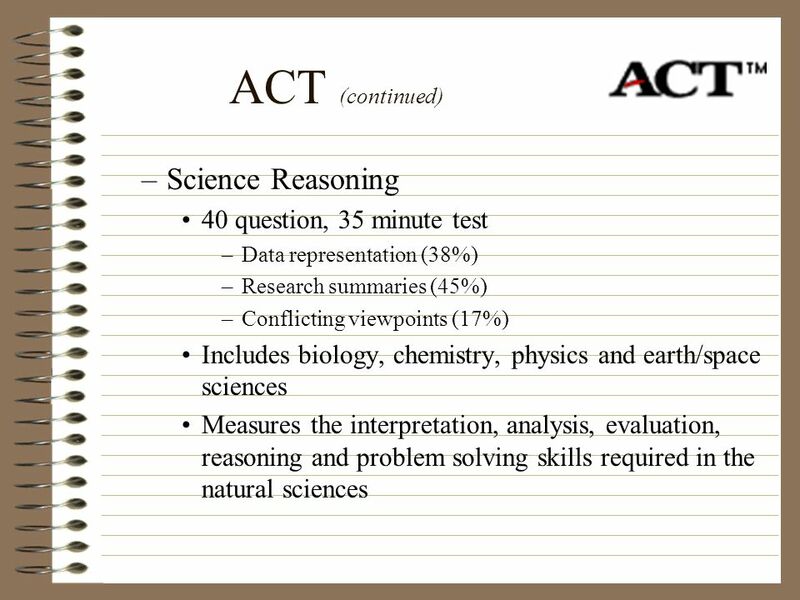 Taking rigorous courses in HS 2. 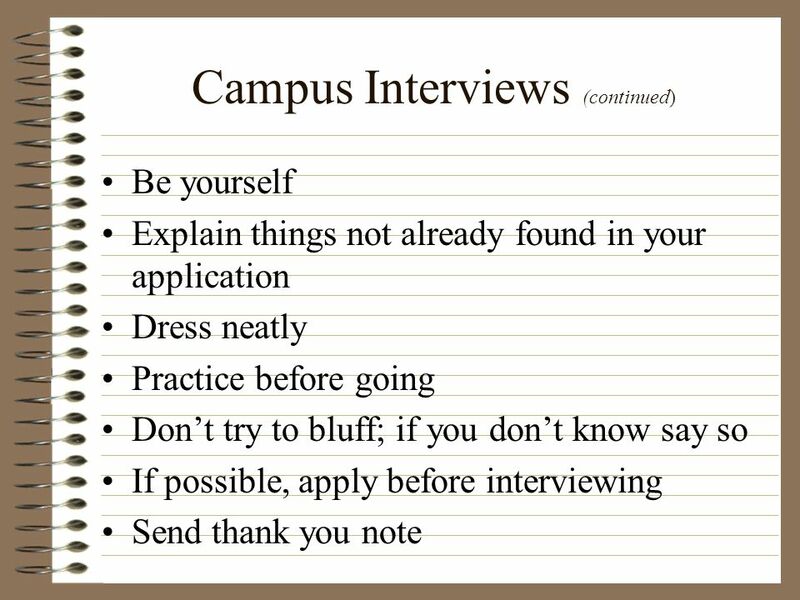 Having a career focus. 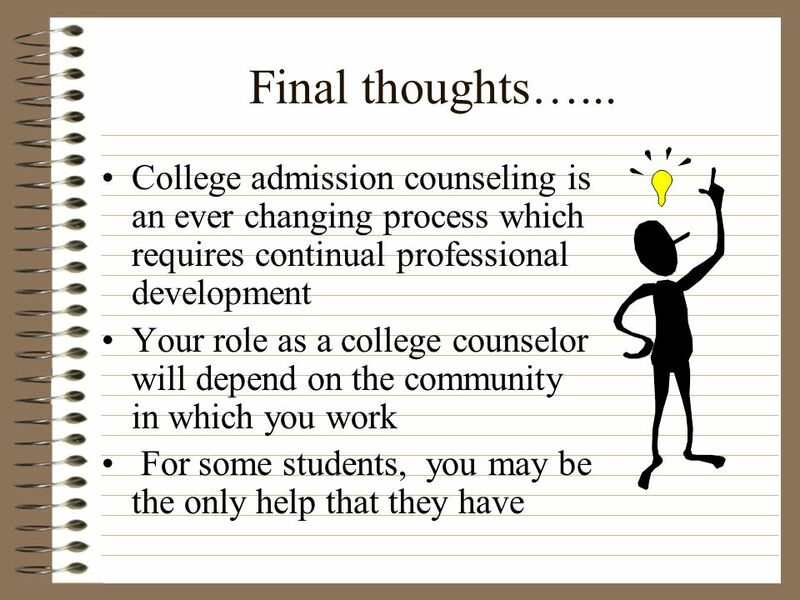 Now it is time to start seriously thinking about college admissions! 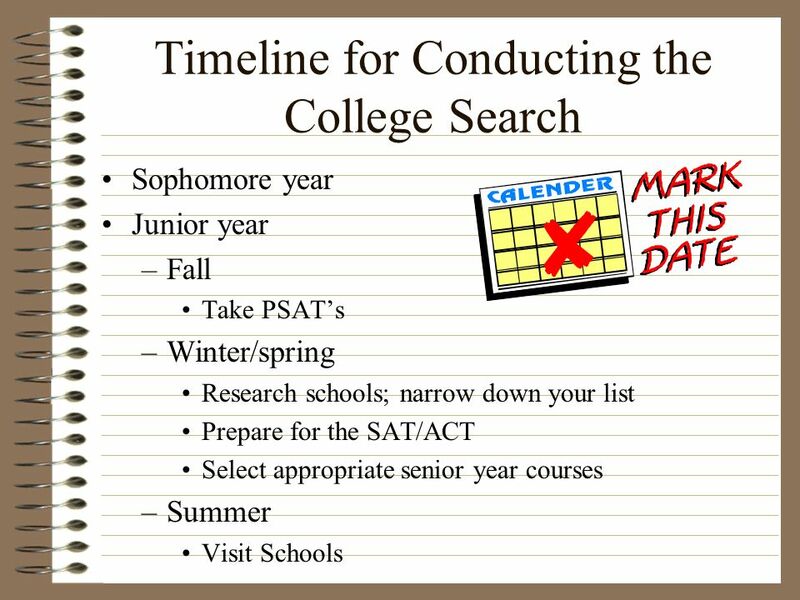 Start planning now! 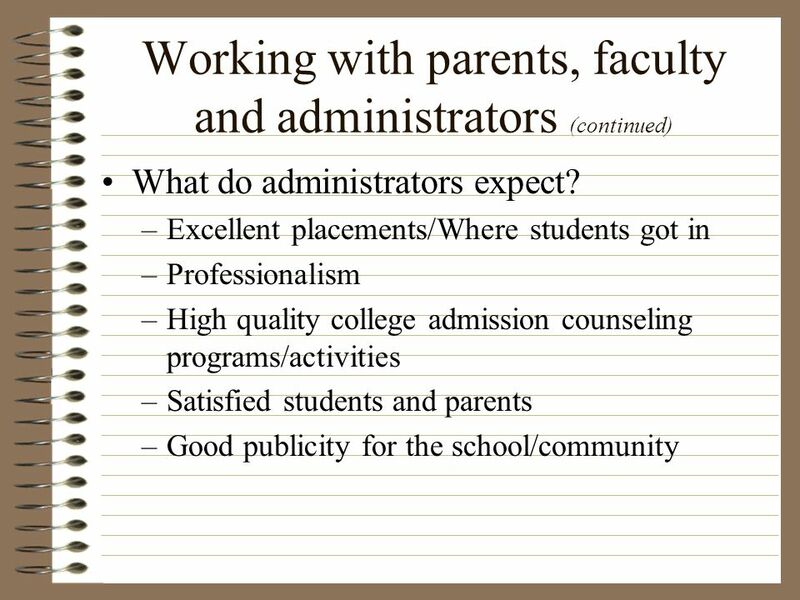 Tenth and Eleventh Grade Parent Night. 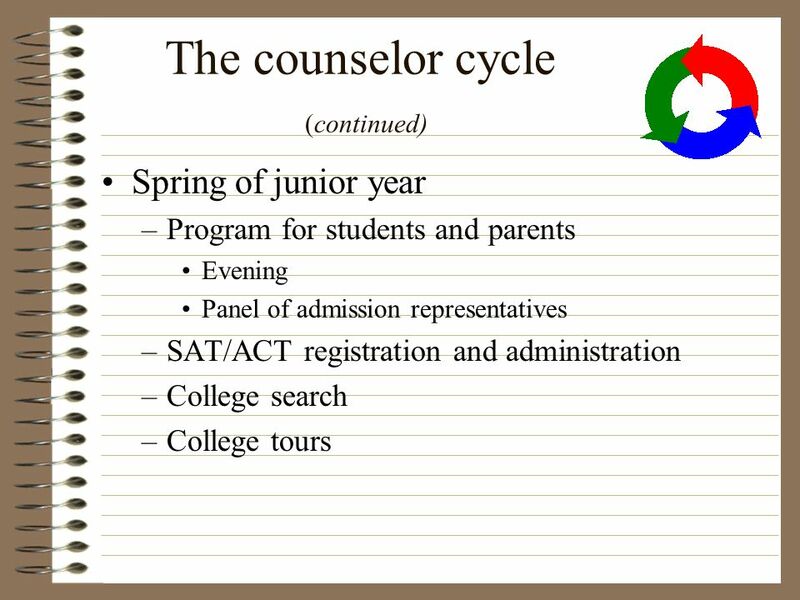 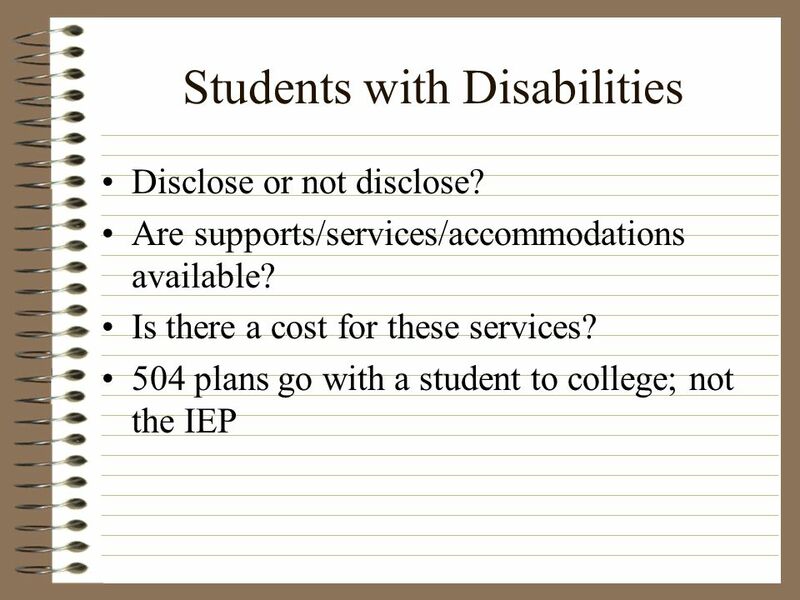 This presentation is available on Click on Counselors Corner Click on Parent. 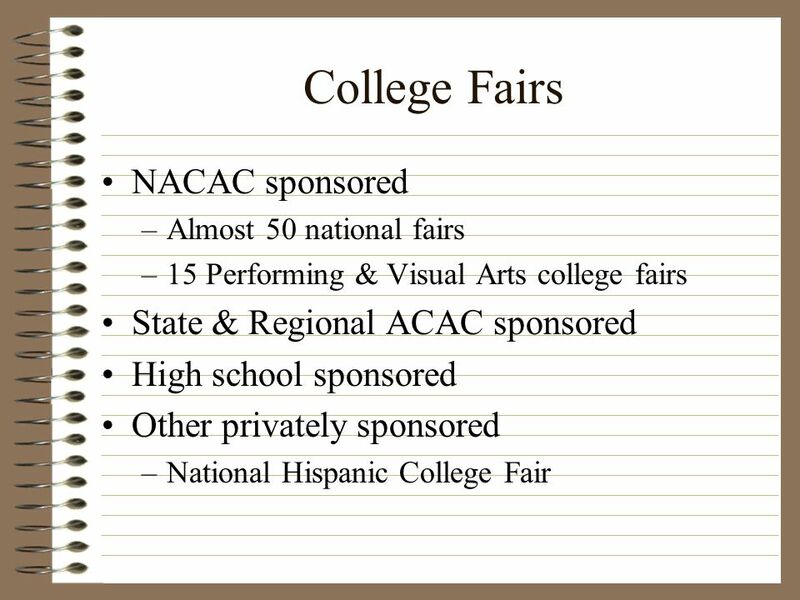 Sheridan High School College Night Welcome Students and Parents. 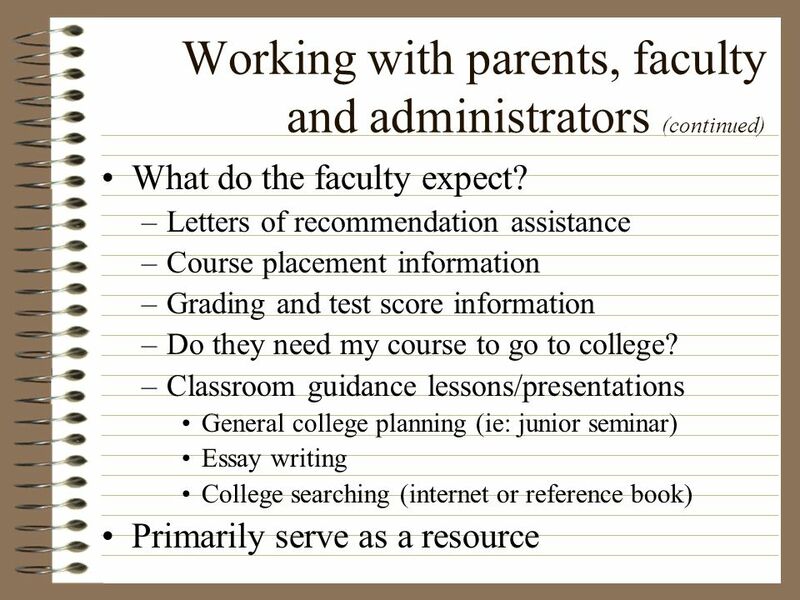 UNLV Howard R. Hughes College of Engineering 2006 Parent Survival 101: Getting Your Child Ready for College UNLV Howard R. Hughes College of Engineering. 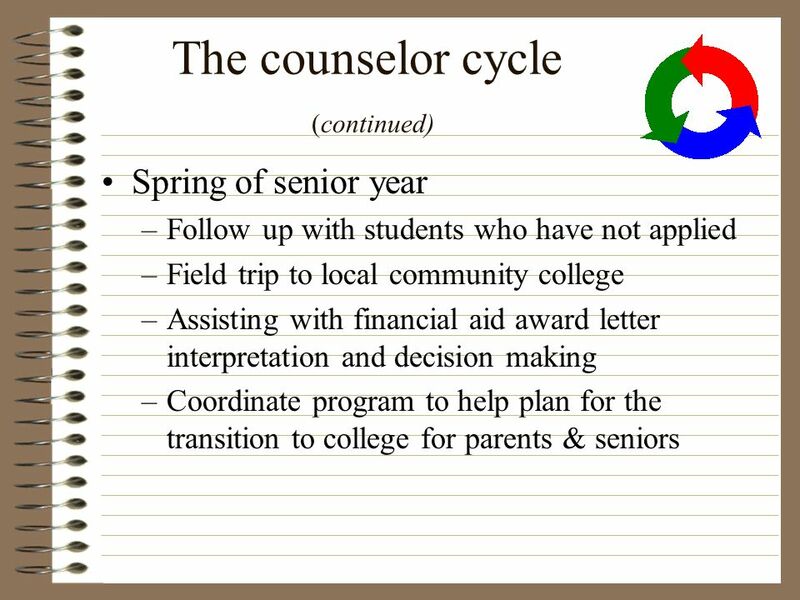 Welcome to Ponderosa High School The Final Countdown SENIORS 2011. 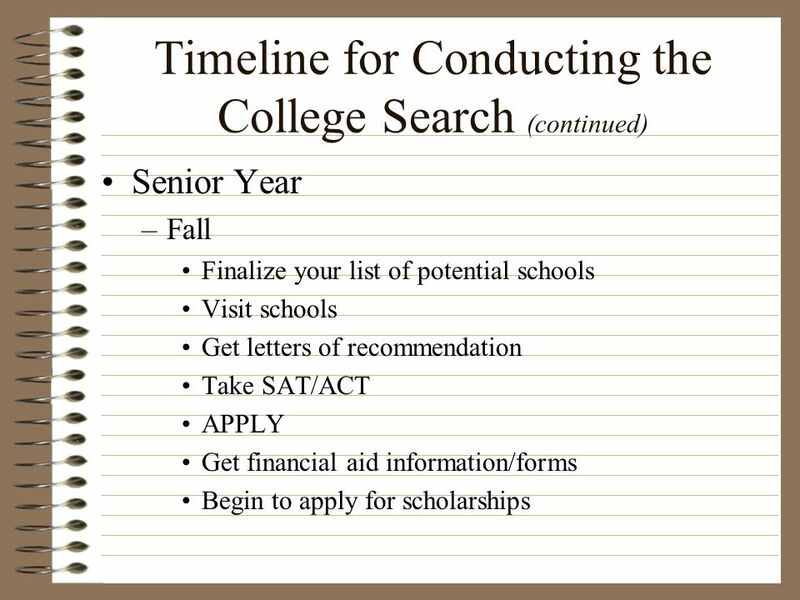 Fall College Information Night for Juniors Presented by the Briar Woods High School Guidance Department, Fall 2010. 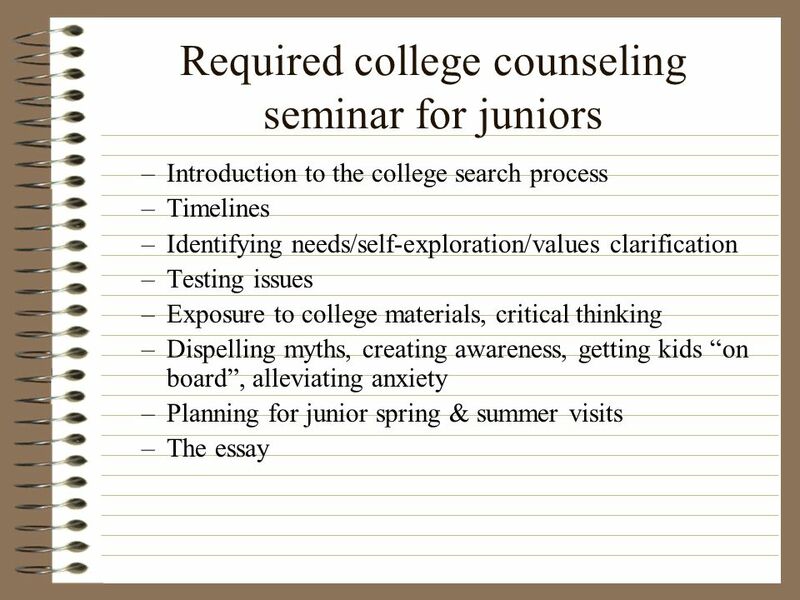 Junior Students/parents Small Group Presentation Presented by RMHS The Counseling Department. 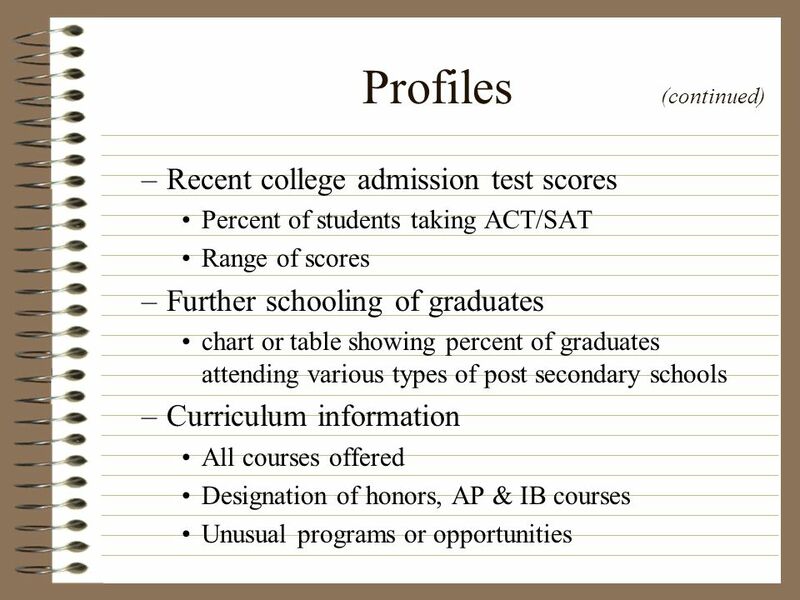 Welcome to Rockland High School Back to School Night September 18,2013. 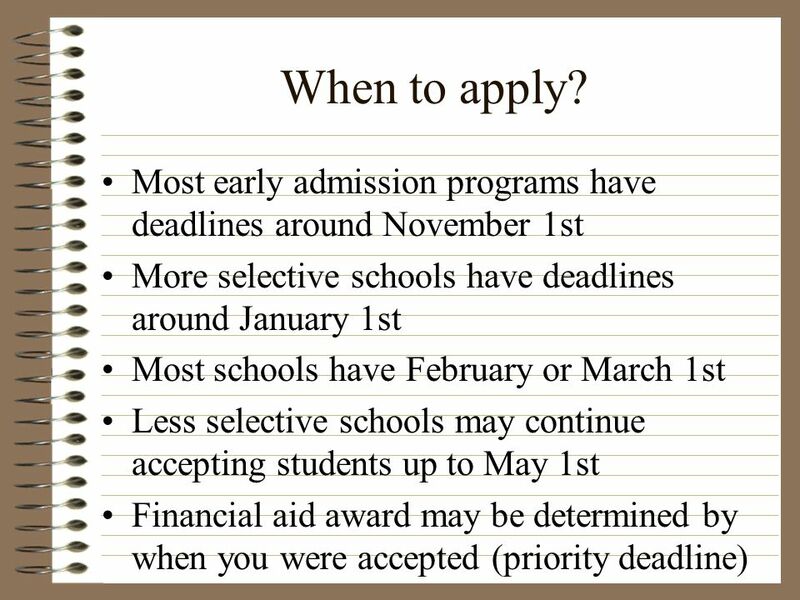 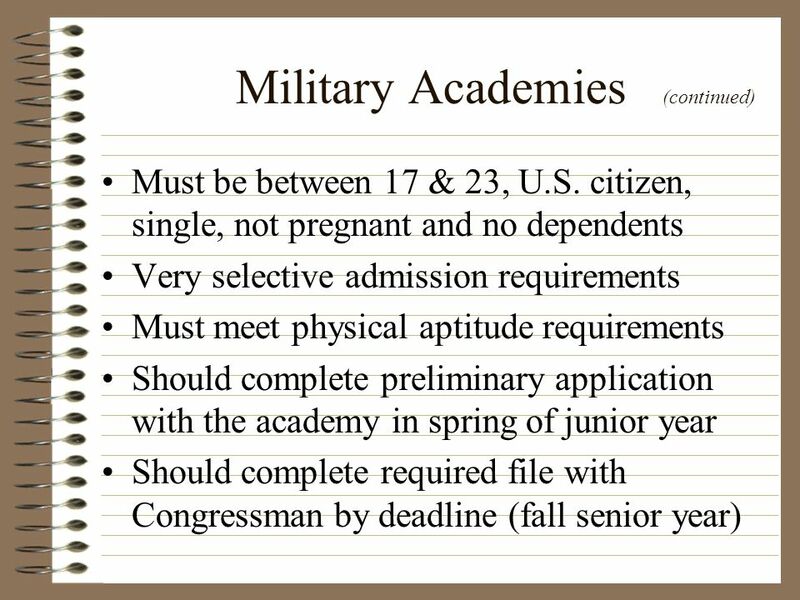 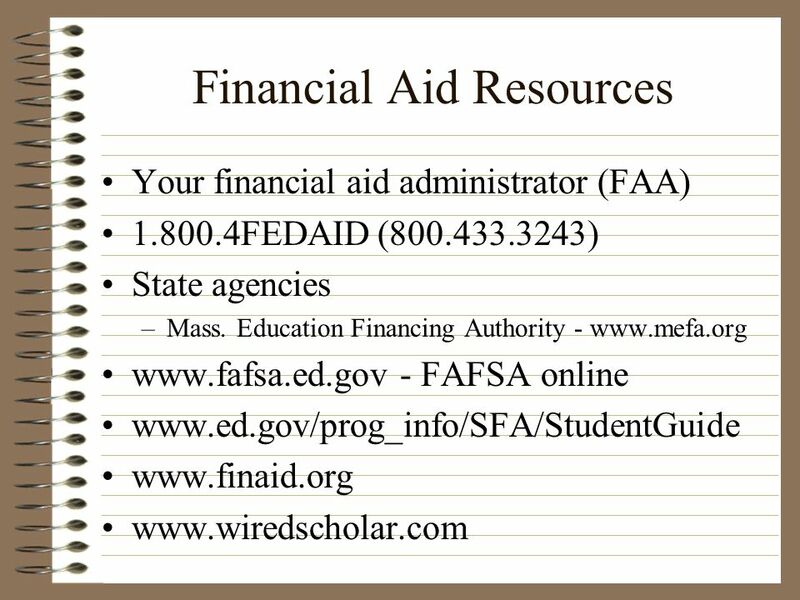 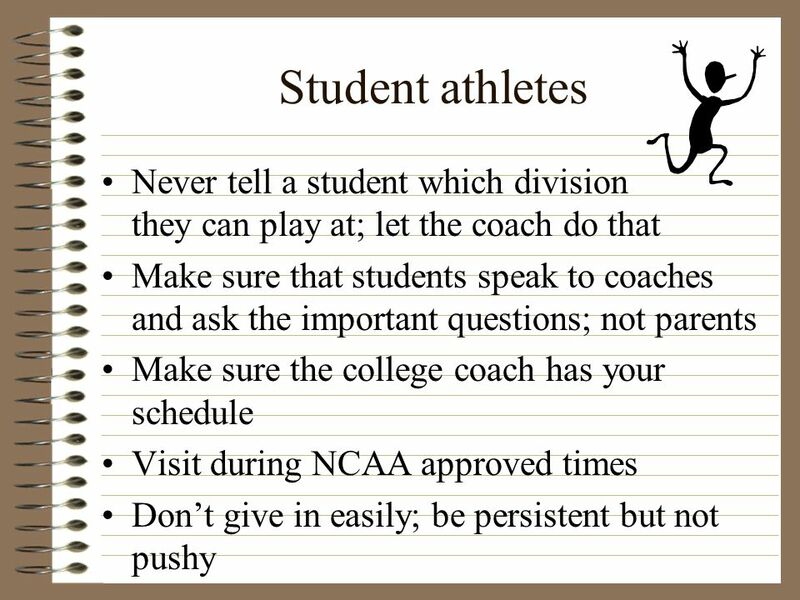 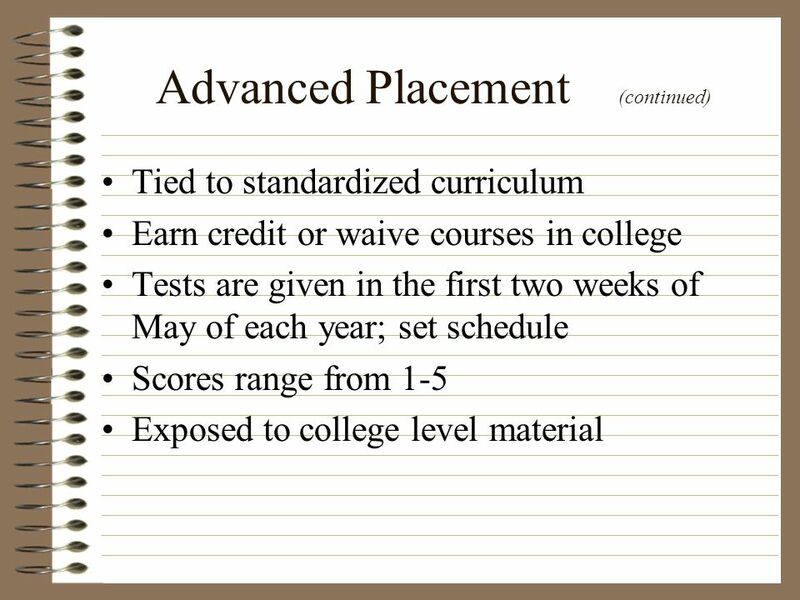 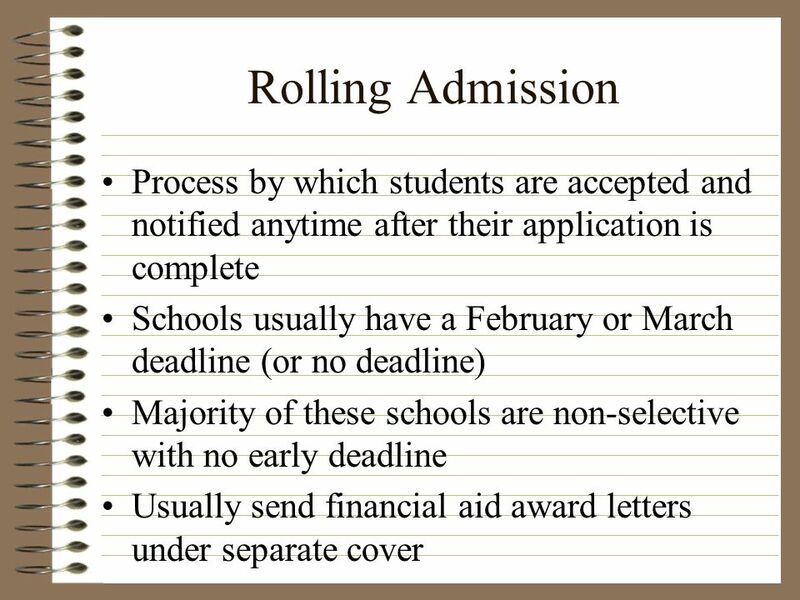 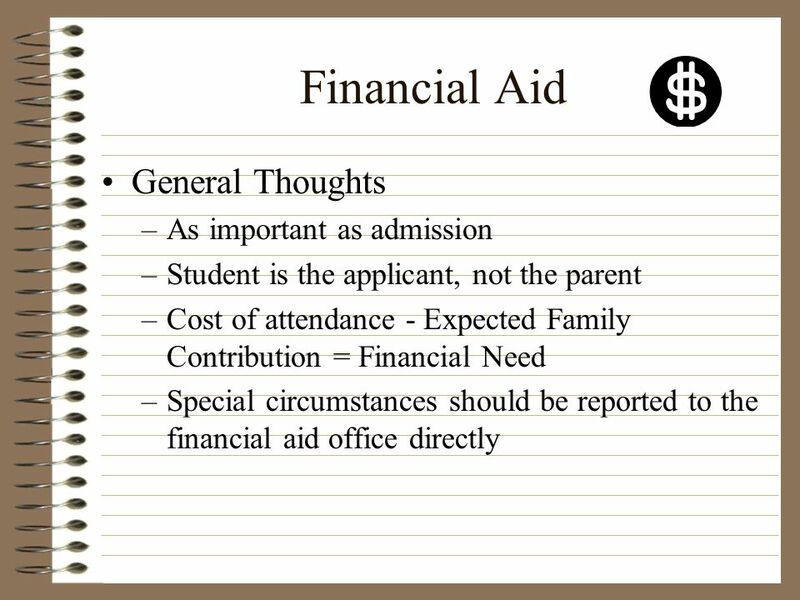 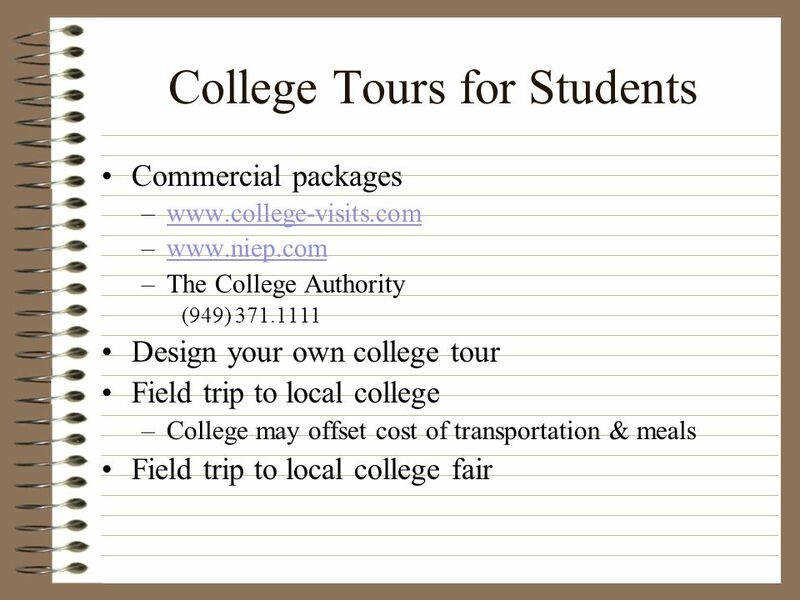 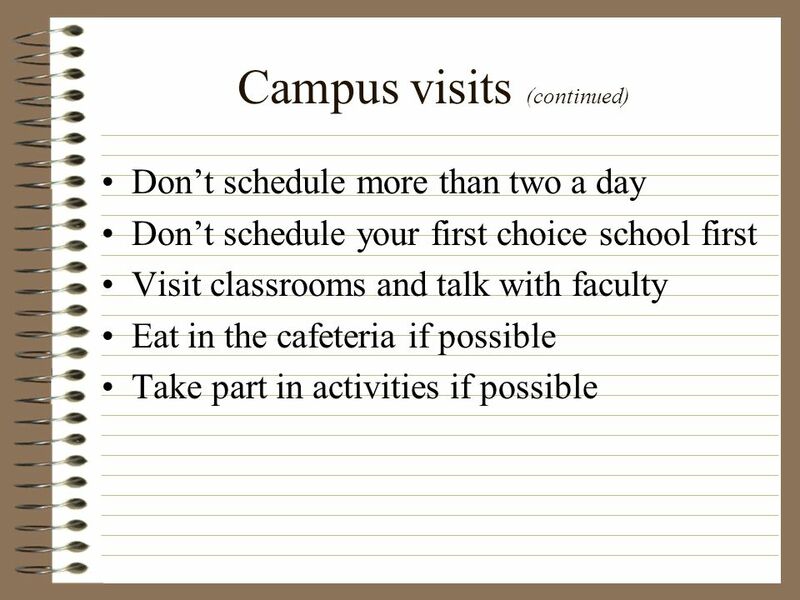 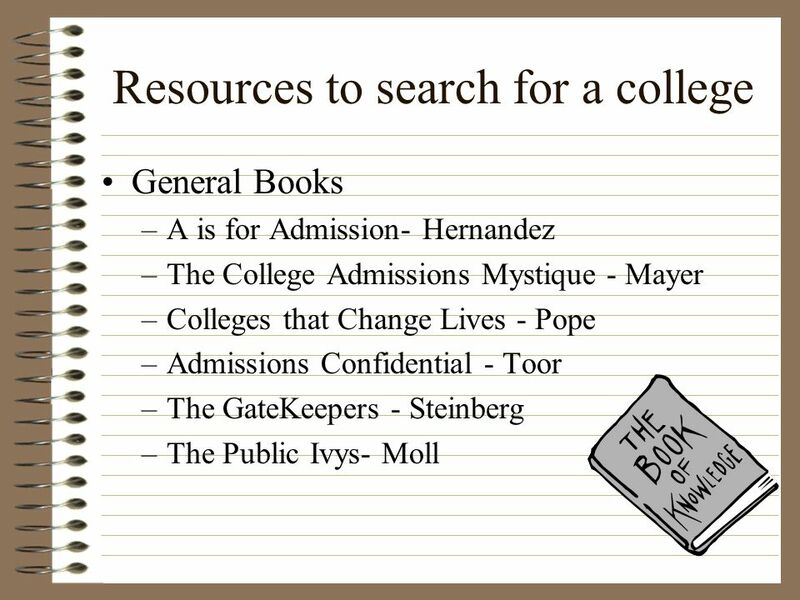 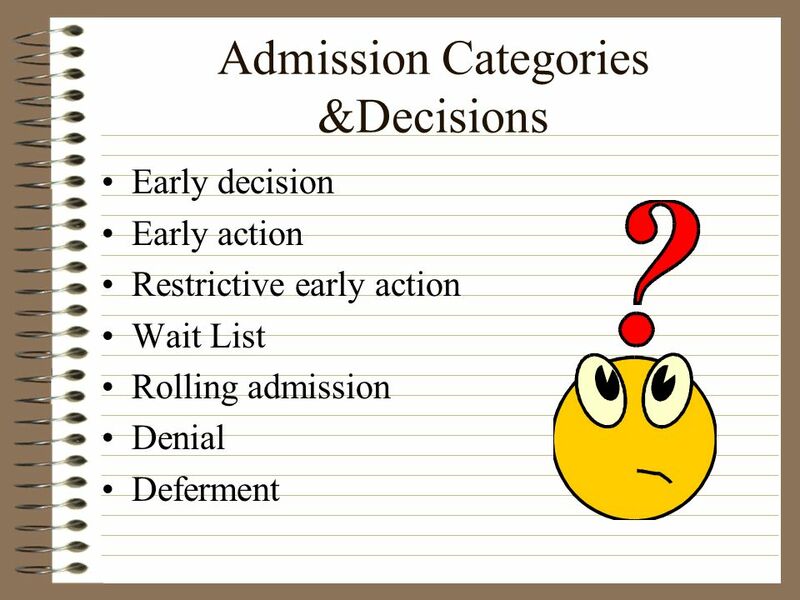 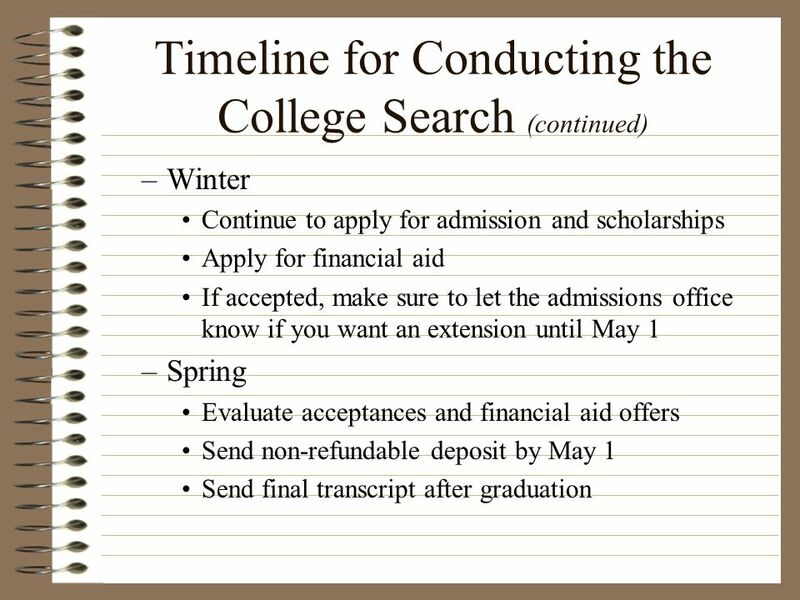 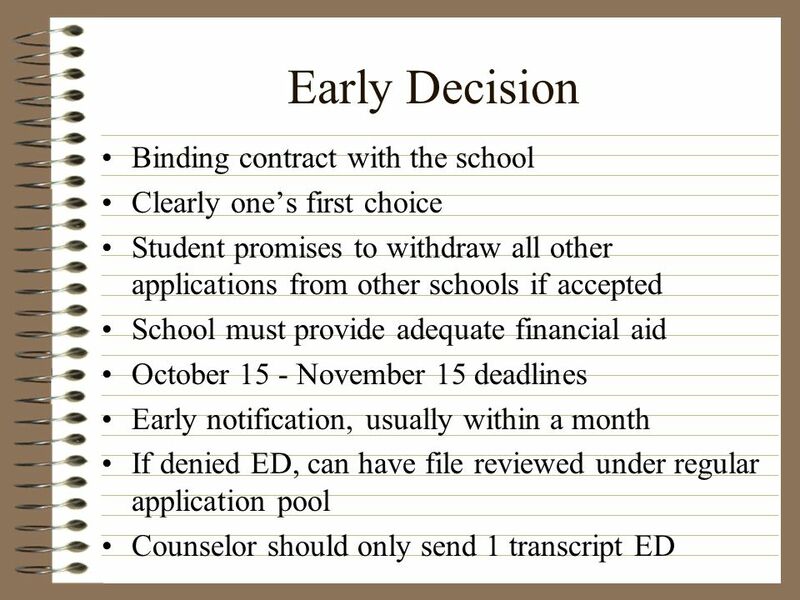 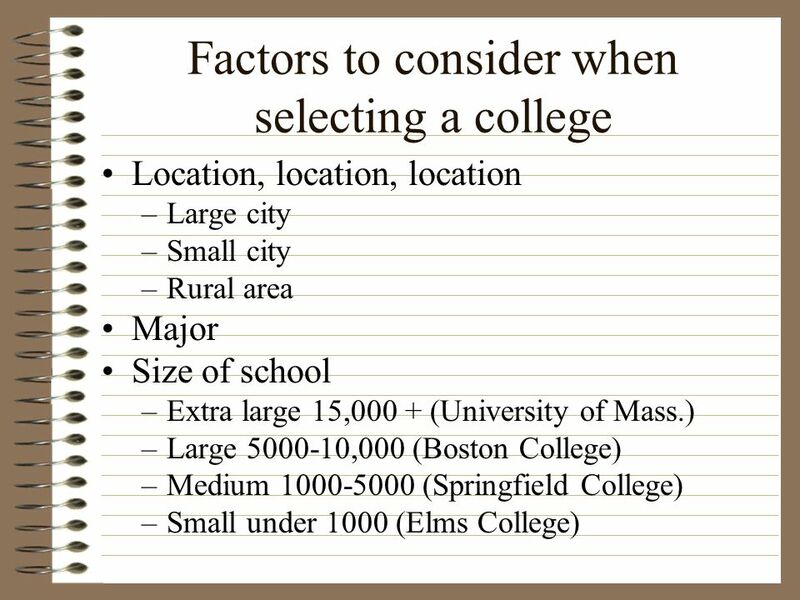 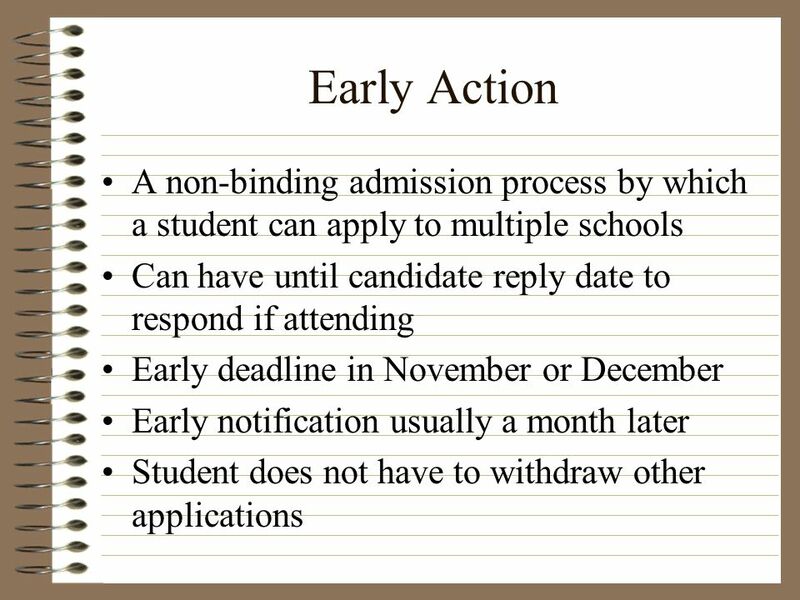 Planning for College What you need to know about the college admission process. 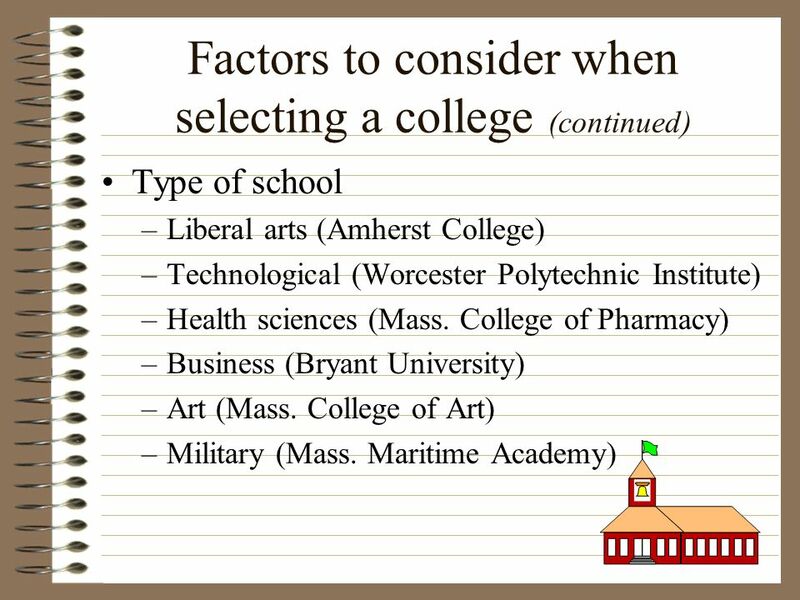 You want to go to college, but…. 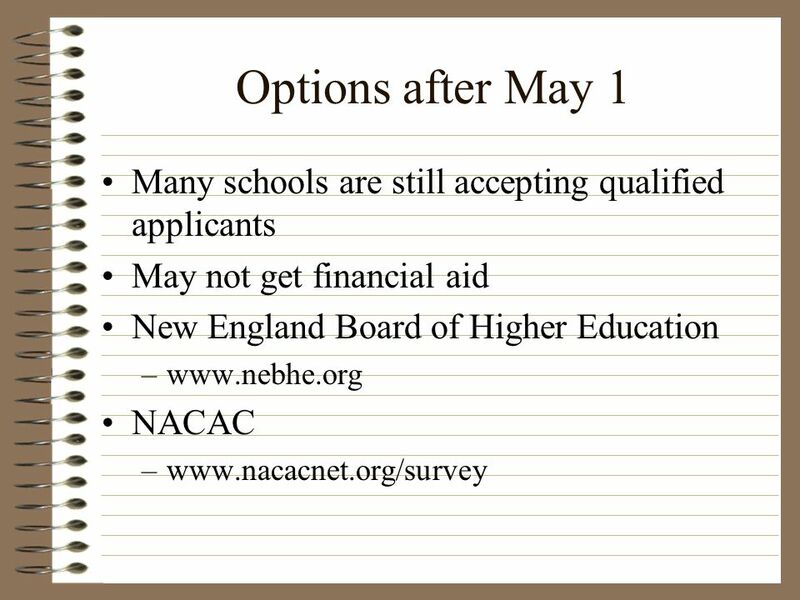 Take a breath…  Preparation  Options  Planning  Application Process  You are not alone! 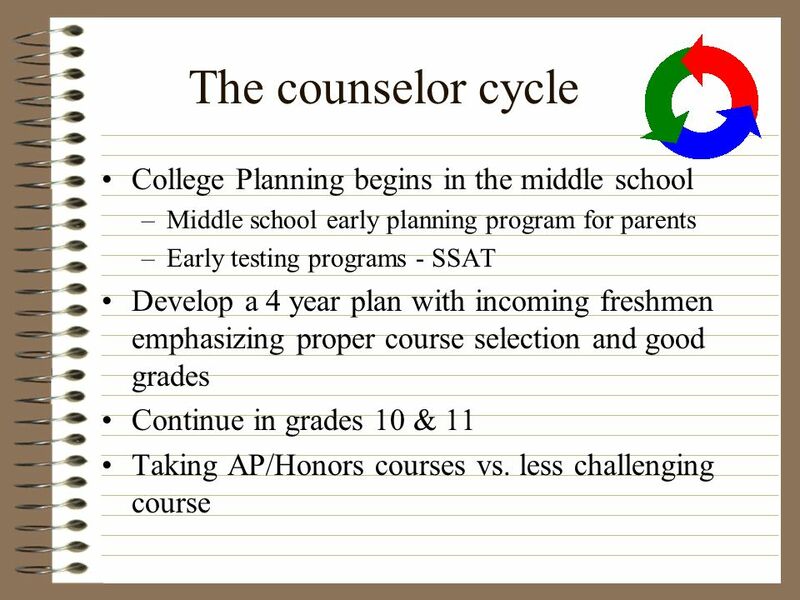 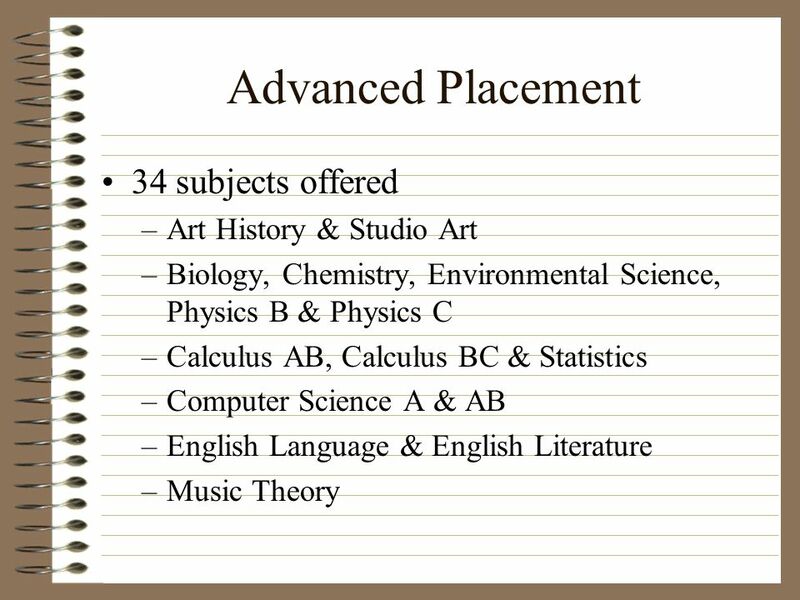 POST-SECONDARY PLANNING for JUNIORS CLASS OF 2013. 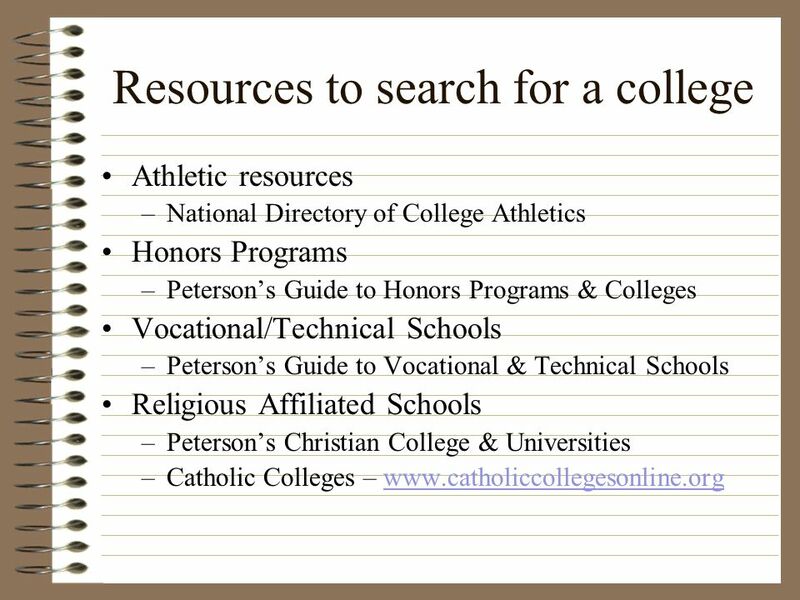 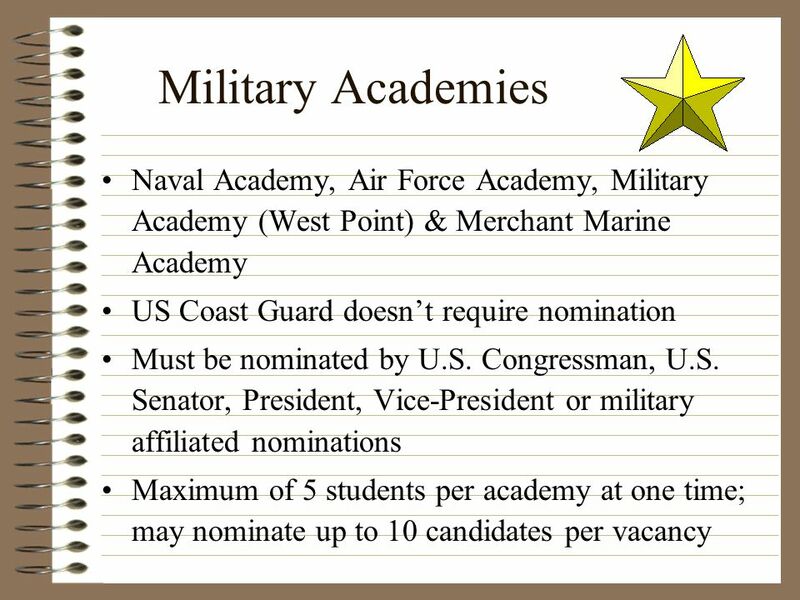 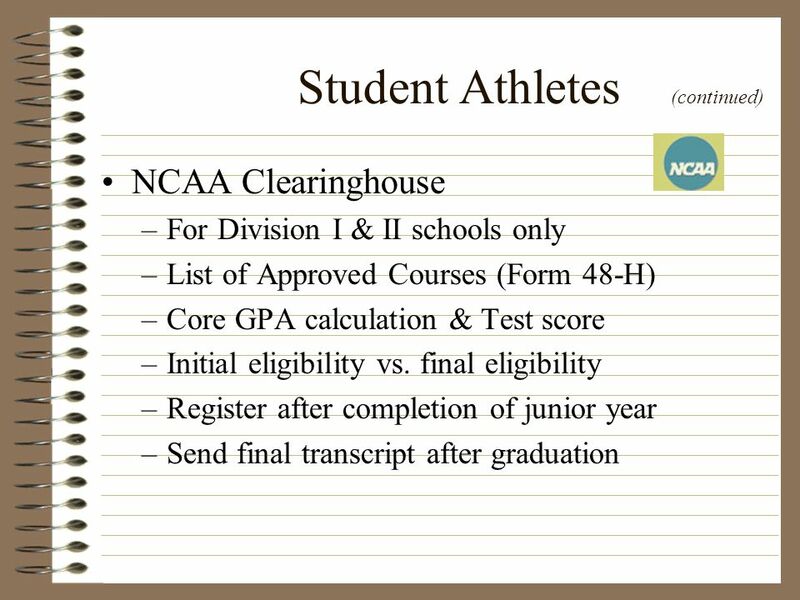 SUCCESS IN HIGH SCHOOL LEADS TO COLLEGE OPPORTUNITIES. 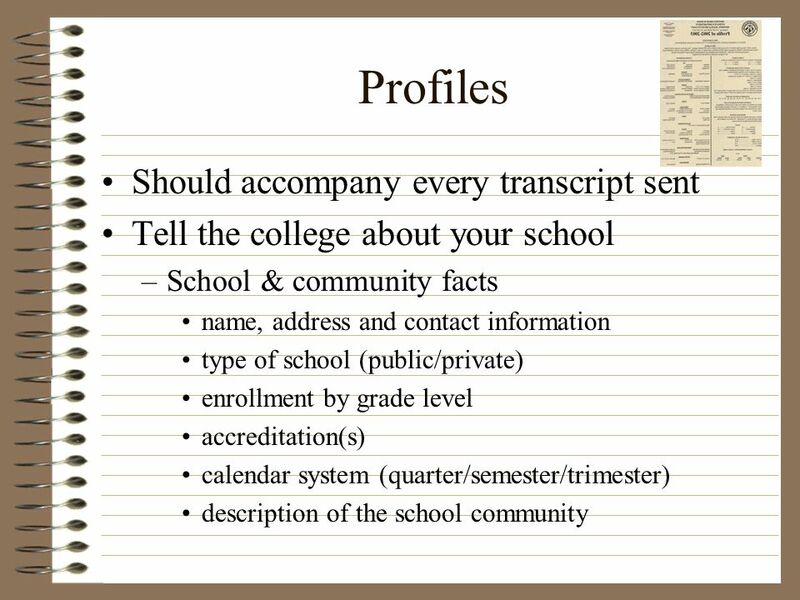 College Information Night Del Mar High School 2003-2004.